1. Knut Posse, squire, died 1500, married 1472 Birgitta Gustavsdotter (Sture). 2. 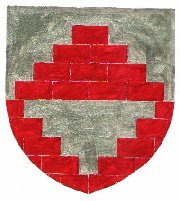 Nils Posse, squire, councillor of the realm, died between 1492 and 1493, married 1stly Gertrud Mattsdotter (Römer); married 2ndly before 5 November 1491 Margareta Ivarsdotter (Juel). 2.1. *by 1* Mats Posse, died 1500. 2.2. *by 1* Axel Posse, councillor of the realm, known 1551, died before 1553, married 1stly Elsa Nilsdotter (Sparre af Ellinge); married 2ndly Anna Axelsdotter (Hellekisätten; died at Hellekis, buried 1582 at Medelplana church). 2.2.1. *by 2* Elsa, died 1579, buried Lofta church, married 7 October 1548 at Stockholm castle Axel Eriksson Bielke (died 1559). 2.2.2. *by 2* Knut Posse, known 1547, died 1595, buried Tuns church, married 1552 at Hellekis Ebba Göransdotter (Forstenaätten; died 24 March 1582 at Såtenäs, buried 8 April at Tuns church). 2.2.2.1. Brita, born 21 October 1554, died 1602, married 13 July 1589 at Såtenäs baron Bengt Gabrielsson Oxenstierna (died 1591). 2.2.2.2. Göran Posse, born 14 January 1556, died 8 March 1616 at Danzig, buried 7 April 1661 at Maria church, Danzig. 2.2.2.2.1. Gabriel Posse, born 27 June 1586 at Hellekis, died 5 July 1586, buried Medelplana church. 2.2.2.2.2. Axel Posse, born 29 August 1588 at Hellekis, died 1591 at Steninge, buried Dalby church. 2.2.2.2.3. Gabriel Posse, born 19 April 1590 at Hellekis, died 1631 at Danzig, buried Birgitta church, Danzig, married 9 May 1622 at Elbing, Germany, Beata Sparre after abducting her from an abbey (born 1597, died 14 October 1627 at Danzig). 2.2.2.2.3.1. Constantia, born 24 February 1623 at Warschau, died 20 August 1625 at Königsberg, buried at Königsberg. 2.2.2.2.3.2. Brita, born 13 October 1627 at Danzig, died 13 October 1627. 2.2.2.2.4. baron Knut Göransson Posse af Hedensund, born 2 March 1592 at Hammarskog, created baron Posse af Hedensund, died 5 April 1664 at Hammarskog, buried 12 April 1664 at Riddarholms church, translated to Dalby church, married 14 November 1618 at Danzig, Germany, Ingeborg Torstensdotter af Forstena (born 14 January 1601 at Forstena, died 5 June 1659 at Hammarskog, buried 22 July 1660 at Riddarholms church). 2.2.2.2.4.1. baroness Elisabeth, died young. 2.2.2.2.4.2. baron Gabriel, died young. 2.2.2.2.4.3. baroness Anna Maria, born 1621, died 13 April 1672 at Hovsta, married 9 June 1648 at Stockholm baron Johan Gyllenstierna af Lundholm, divorced 1669 (born 1617, died 1690). 2.2.2.2.4.4. baroness Elisabet, born 2 January 1625, died 9 May 1639 at Nyköping, buried 28 August at Dalby church. 2.2.2.2.4.5. baron Gustaf Posse af Hedensund, born 29 May 1626 at Stockholm, died 13 April 1676 at Stockholm, buried 26 June 1677 at Riddarholms church, translated to St. Nikolai church, Arboga, married 1stly 2 December 1651 at Stockholm baroness Maria Eleonora Banér (born 17 May 1632, died 6 December 1660, buried 17 March 1632 at Stockholm); married 2ndly 9 July 1662 at Stockholm baroness Märta Berendes (born 21 January 1639 at Hedensö, died 18 October 1717 at Stockholm, buried 22 October 1717 at Riddarholms church). 2.2.2.2.4.5.1. *by 1* baroness Christina, born 15 August 1652, died 16 May 1724 at Svärtinge, married 20 January 1676 at Arboga Adam Schulman. 2.2.2.2.4.5.2. *by 1* baron Axel Gabriel Posse af Hedensund, died young 1655, buried 13 January 1656 at Jönköping, translated to Skällviks church. 2.2.2.2.4.5.3. *by 1* baron Knut Posse af Arnäs, born 17 September 1655 at Jönköping castle, died unmarried 25 April 1677 at Uddevalla, butied 16 June 1677 at Riddarholms church, translated to St. Nikolai church, Arboga. 2.2.2.2.4.5.4. *by 1* baron Lennart Posse af Arnäs, born 15 September 1656, died unmarried 26 December 1689. 2.2.2.2.4.5.5. *by 1* baron Gustaf Posse, born 1657, died 1658. 2.2.2.2.4.5.6. *by 1* baroness Ebba, born 1659, died 1659. 2.2.2.2.4.5.7. *by 1* baroness Ebba Beata, born 1 December 1660, died 1697, married 1stly Johan Axel Kruse af Elghammar (born 1646, died 1695); married 2ndly major Johan Kuhlhielm (died 1708). 2.2.2.2.4.5.8. *by 2* baroness Ingeborg Gustaviana, born 1 May at Stockholm, died 1 April 1676 at Lerberga, buried 26 June 1677 at Riddarholms church, translated to St. Nikolai church Arboga. 2.2.2.2.4.5.9. ? *by 2* baron Johan Lage Posse, born 14 May 1664, died 29 July 1664 at Stockholm, translated to Dalby church. 2.2.2.2.4.5.10. *by 2* baroness Charlotta, born 1664, died young. 2.2.2.2.4.5.11. *by 2* baroness Anna Elisabet, born 12 June 1665, died 16 November 1704 at Stockholm, buried 4 December 1704 at Klara church, married 21 January 1694 at Stockholm baron Åke Ulfsparre af Broxvik (died 1701). 2.2.2.2.4.5.12. *by 2* baron Carl Posse, born 1666, killed unmarried 5 October 1689 at Morea in the battle between the Venetians and the Turks. 2.2.2.2.4.5.13. *by 2* baroness Marta Eleonora, born 1667, died 6 December 1727 at Hovsta, buried 19 December 1727 at Björkviks church, married 24 November 1696 at Stockholm castle major Gustaf Ulfsparre af Broxvik (born 1666, died 1702). 2.2.2.2.4.5.14. *by 2* baroness Hedvig Charlotta, born 1667, died unmarried 21 March 1725. 2.2.2.2.4.5.15. *by 2* baron Gustaf Posse, christened 12 March 1668 at Jönköping, d.v.p. 2.2.2.2.4.5.16. *by 2* baroness Maria Eleonora, died unmarried 6 November 1694 at Stockholm, buried 7 April 1695 at Riddarholms church. 2.2.2.2.4.6. baron Göran Posse, died young. 2.2.2.3. Jöns Posse, born 21 April 1557 at Såtenäs, died unmarried, buried about or after December 1596 at Råda church. 2.2.2.4. Nils Posse, born 27 November 1558 at Såtenäs, d.s.p. 26 February 1627, buried 27 March 1627 at Irsta church, married 1stly 1588 Elsa Trolle (died 10 August 1593, buried Ängsö church); married 2ndly 14 September 1595 Carin Ribbing (born 22 October 1576 at Främmestad, died 1641, buried Irsta church). 2.2.2.5. Axel Posse, born 8 November 1560, died abroad 1612, married 4 September 1597 at Björkvik baroness Märta Christiernsdotter Oxenstierna af Eka och Lindö (died 1613). 2.2.2.5.1. Ebba, died after 11 September 1666, buried Senäte church, married 1620 Ture Axelsson Natt och Dag (died 1626). 2.2.2.5.2. a son, born 1600, died 1601. 2.2.2.5.3. Christer Posse, born 3 August 1601 at Ro, died 20 April 1643 at Bergshammar, buried 2 July 1643 at Fogdö church, married 28 February 1626 at Rossvik Christina Sparre af Rossvik (born 14 February 1605, died 7 June 1656, buried Fogdö church). 2.2.2.5.3.1. Axel Posse, born 22 May 1627 at Bergshammar, died 11 February 1662 at Bergshammar, buried 23 March 1663 at Riddarholm church, interred Fogdö church, married 15 May 1659 at Stockholm baroness Catharina Elisabet Kurck (born 19 May 1640, died 21 January 1705, buried 31 January 1705 at Fogdö church). 2.2.2.5.3.1.1. Christina Sofia, died 9 January 1661, buried Fogdö church. 2.2.2.5.3.2. Nils Posse, born 13 December 1628 at Bergshammar, died unmarried 3 January 1669 at Gäddeholm, buried 8 January 1669 at Irsta church. 2.2.2.5.3.3. Christina, born 29 June 1630 at Bergshammar, died 26 December 1668 at Västerås castle, buried 7 March 1658 Carl Filip Sack (born 1627, died 1661); married 2ndly 7 June 1668 at Lindholm Ernst Johan Creutz (born 1619, died 1684). 2.2.2.5.3.4. Bengt Posse, born about 1632, died unmarried December 1657, buried 1658 at Fogdö church. 2.2.2.5.3.6. Göran Posse, born 3 February 1635, died 22 November 1653 at Uppsala, buried Fogdö church. 2.2.2.5.3.7. Märta, died before 30 July 1704, married 1stly 6 February 1659 at Jacob's church, Stockholm, baron Gustaf Spreling (born 1630, died 1660); married 2ndly 12 November 1661 at Stockholm Per Hermansson Fleming. 2.2.2.5.4. a daughter, died before the age of one. 2.2.2.6. Erik Posse, born 4 July 1564 at Såtenäs, died before 1597. 2.2.2.7. Lindorm Posse, born 7 January 1566 at Hellekis, died unmarried 6 July 1628 at Langenburg, Germany, buried there. 2.2.3. *by 2* Nils Posse, died 1603, buried Tuns church, married Anna Kagg (died 1575). 2.2.3.1. Göran Posse, died an exile in Poland, married Ingeborg Johansdotter Natt och Dag (died after 1600). 2.2.3.1.1. Anna, buried 9 February 1641 at Skara cathedral, married 6 April 1622 at Rinkesta colonel Erik Soop (born 1592, died 1632). 2.2.3.1.2. Lill Göran Posse (=Little Göran), died after 1605. 2.2.3.2. Axel Posse, died 1633, buried Tuns church, married 15 June 1589 at Svanseryd Anna Larsdotter Hård af Segerstad (born 7 January 1562 at Limmared, died 1601). 2.2.3.2.1. Nils "the Younger" Posse, born in the 1590:s, died about 1664, married 24 September 1620 at Lövås Anna Stake (died after 1668). 2.2.3.2.1.1. Anna, born 1622 at Säby, died 2 November 1672 at Tordsberg, buried Fägre church, married October 1669 Tord Bonde (born 1619, died 1683). 2.2.3.2.1.2. Brita, died before 20 July 1704, married 1 July 1660 at Säby colonel Göran Ulfsparre af Broxvik (died 1700). 2.2.3.2.1.4. Catharina, died 5 March 1657 at Hjälmarsberg, buried 16 August at Almby church, married 15 May 1656 at Säby baron Gustaf Eriksson Leijonhufvud (born 1597, died 1658). 2.2.3.2.1.5. Benedikta, died 3 May 1678 at Säby, buried 16 September 1680 at Vist church, married 3 August 1652 at Säby Carl Persson Natt och Dag (born 1628, died 1694). 2.2.3.2.1.6. baron Mauritz Nilsson Posse af Säby, born 1632 at Stockholm, created baron of Säby, died 4 February 1702, married 1stly 1 March 1655 at Geneva Magdalena Michaeli (born 23 March 1638 at Geneva, died 15 June 1669 at Lamhult, buried Berga church, daughter of Jacques Michaeli and Magdalena de la Vespière); married 2ndly 7 June 1671 baroness Maria Gyllenstierna af Lundholm (born 1639, died 8 September 1693, buried 7 March 1694 at Lossa parish). 2.2.3.2.1.6.1. *by 1* baroness Anna Maria Christina, born 17 August 1657 at Geneva. 2.2.3.2.1.6.2. *by 1* baron Nils Posse af Säby, born 21 February 1660 at Geneva, died 12 April 1723, buried Berga church, married 1704 baroness Henrietta Beata Horn af Marienborg (born 20 June 1677, died 1740). 2.2.3.2.1.6.2.1. baron Carl Henrik Posse af Säby, born 23 June 1705 at Gothenburg, died 30 April 1761 at Säby, buried Berga church, married 18 April 1732 Helena Soop, born 28 June 1712 at Gotland, died 6 June 1796 at Säby, buried Berga church). 2.2.3.2.1.6.2.1.1. baron Nils Posse af Säby, christened 21 February 1733 at Säby, died 28 October 1786, married 12 July 1758 at Skabersjö Dorotea Tott (born 24 October 1739, died 11 December 1807 at Ängeltofta). 2.2.3.2.1.6.2.1.2. baroness Beata Maria, christened 25 March 1734 at Säby, died 4 July 1776 at Håberg, married 25 December 1763 at Säby Erik Tersmeden (born 1728, died 1810). 2.2.3.2.1.6.2.1.3. baroness Anna Margareta, christened 25 March 1735 at Säby, died 8 November 1799 at Margreteberg, married 28 October 1756 at Säby Georg Zelow (bron 1727, died 1764). 2.2.3.2.1.6.2.1.4. baron Gustaf Mauritz Posse af Säby, christened 22 July 1737 at Säby, died 21 October 1827 at Rosenlund, buried Jönköping cemetery east, married 29 October 1782 at Hakarp church Gertrud Fredrika Ehrenpreus (born 6 October 1752 at Huskvarna, died 16 January 1834, buried Jönköping cemetery east). 2.2.3.2.1.6.2.1.4.1. a daughter, born 29 October 1783, died shortly afterwards. 2.2.3.2.1.6.2.1.4.2. baron Mauritz Posse af Säby, born 23 September 1784, died unmarried 8 March 1842 at Rosenlund. 2.2.3.2.1.6.2.1.4.3. baroness Hillevi, born 28 January 1787, died 8 July 1810 at Torpa, buried Ljungarum cemetery, married 23 June 1809 at Rosenlund Tor August Odencrantz (born 1782, died 1829). 2.2.3.2.1.6.2.1.4.4. baroness Vendela, born 2 June 1789 at Rosenlund, died 26 October 1878 at Rosenlund, buried Jönköping cemetery east, married 12 May 1843 at Rosenlund captain Carl Johan Ridderstedt (born 1801, died 1873). 2.2.3.2.1.6.2.1.4.5. baron Christer Posse af Säby, born 25 July 1792, died unmarried 27 October 1832 at Rosenlund. 2.2.3.2.1.6.2.1.5. baron Carl Åke Posse af Säby, born 21 June 1738 at Säby, died 16 March 1809 at Skedevi, buried Fogdö church, married 20 April 1766 at Borrud Beata Christina Hierta (born 7 April 1742, died 13 July 1792 at Borrud). 2.2.3.2.1.6.2.1.5.1. count Carl Henrik Posse, born 15 January 1767, died 4 April 1843 at Mariestad, buried Mariestad church, married 25 March 1800 at Vilsta baroness Sofia Constantia Siegroth (born 5 July 1776, died 9 April 1843 at Nyköping). 2.2.3.2.1.6.2.1.5.2. baroness Ulrika Helena, born 9 April 1768 at Borrud, died 14 February 1837, buried Visnum church, married 24 August 1788 at Värmlands-Säby captain Carl Evert Linroth (born 1749, died 1824). 2.2.3.2.1.6.2.1.5.3. baron Nils Mauritz Posse af Säby, born 21 February 1769, died 18 February 1770. 2.2.3.2.1.6.2.1.5.4. baroness Beata Margareta, born 23 March 1770, died unmarried 21 July 1836 at Jönköping. 2.2.3.2.1.6.2.1.5.5. baroness Christina Sofia, born 10 February 1771, died 22 February 1771 at Borrud. 2.2.3.2.1.6.2.1.5.6. baroness Hedvig, born 17 April 1772, died 11 June 1772 at Borrud. 2.2.3.2.1.6.2.1.5.7. baroness Hedvig Lovisa, born 23 May 1773, died 28 December 1847, married 27 July 1793 Lars Linroth (born 1766, died 1834). 2.2.3.2.1.6.2.1.5.8. baron Fredrik Posse af Säby, born 14 October 1774, died 19 May 1775 at Borrud. 2.2.3.2.1.6.2.1.5.9. baron Gustaf Mauritz Posse af Säby, born 19 December 1775 at Borrud, died 21 February 1842 at Nyköping, buried Björkvik cemetery, married 5 July 1796 at Kåreholm baroness Gustava Eleonora Örnfelt (born 20 February 1771, died 8 December 1828 at Norrköping). 2.2.3.2.1.6.2.1.5.9.1. baron Carl Fredrik Posse af Säby, born 23 June 1798, died 21 February 1800 at Marieberg. 2.2.3.2.1.6.2.1.5.9.2. baroness Görel Christina Gustava, born 13 February 1800 at Kåreholm, died 5 August 1874 at Uppsala, buried Lossa church, married 27 April 1830 at Mem captain Johan Niklas Wiman (born 27 July 1801 at Fröreda, died 10 September 1879 at Södertälje). 2.2.3.2.1.6.2.1.5.9.3. baron Carl Fredrik Posse af Säby, born 18 September 1801 at Kåreholm, died 19 May 1879 at Blacksta vicarage, buried at Bettna cemetery, married 26 September 1872 at Ålspånga baroness Elisabet Antoinetta Carolina Ridderstolpe (born 24 July 1817 at Stockholm, died 26 September 1872 at Ålspånga). 2.2.3.2.1.6.2.1.5.9.3.1. baroness Johanna Gustava, born 14 December 1836 at Stockholm, died unmarried 24 August 1901 at Katrineborg, buried Vadsbro cemetery. 2.2.3.2.1.6.2.1.5.9.3.2. baroness Hillevi Elisabet, born 11 March 1838 at Ålspånga, died 23 February 1920 at Stockholm, buried Vadsbro cemetery, married 8 December 1863 at Ålspånga captain Tom Lyon (born 29 June 1823 in England, died 28 November 1885 at Katrineborg). 2.2.3.2.1.6.2.1.5.9.3.3. baroness Elisabet Amalia, born 28 February 1840 at Ålspånga, died 9 December 1900 at Katrineborg, buried Vadsbro cemetery, married 1869 Henrik Möllerswärd, divorced 18 August 1891 (born 1841, died 1915). 2.2.3.2.1.6.2.1.5.9.3.4. baroness Ida Eleonora, born 14 December 1848 at Ålspånga, died unmarried 12 March 1926 at Nyköping, buried Bettna cemetery. 2.2.3.2.1.6.2.1.5.9.3.5. baroness Görel Anna Lovisa, born 9 November 1853 at Ålspånga, died 20 December 1853 at Ålspånga. 2.2.3.2.1.6.2.1.5.9.4. baroness Hellevi Sofia, born 30 March 1804 at Östra Ny parish, died 13 April 1889 at Uppsala, buried Uppsala cemetery, married 12 September 1826 at Björkvik church lieutenant-colonel Lars Mattias Törngren (born 28 May 1789 at Karlskrona, died 18 April 1874 at Uppsala). 2.2.3.2.1.6.2.1.5.9.5. baron Mauritz Posse af Säby, born 23 February 1808, died 19 August 1848 at Herresäter, buried Björkvik cemetery, married 6 February 1838 baroness Axiana Charlotta Ribbing (born 21 August 1812, died 8 February 1848). 2.2.3.2.1.6.2.1.5.9.5.1. baron Carl Axel Posse af Säby, born 12 May 1839 at Djursnäs, died unmarried 22 March 1899 at Bråttinge, buried Stigtomta cemetery. 2.2.3.2.1.6.2.1.5.9.5.2. baron Knut Christer Fredrik Posse af Säby, born 25 June 1842 at Hagbyberga, died 21 May 1921 at St. Louis, Missouri, USA, married 30 March 1885 at Zanesville, Ohio Sarah Minerva Frazier (born 11 December 1861 at Zanesville, Ohio, daughter of captain William Frazier and Mary Eleonora Jones). 2.2.3.2.1.6.2.1.5.9.5.2.1. barones Hedda, born 4 September 1886 at El Paso, Texas, died 17 July 1887 at Las Vegas. 2.2.3.2.1.6.2.1.5.9.5.2.2. baroness Christina Fredrika, born 12 February 1890 at St. Louis, married 19 May 1926 at Chicago chemist Heinrich Ludwig Krebs (born 16 April 1888). 2.2.3.2.1.6.2.1.5.9.5.2.3. baron Conrad Mauritz Knutsson Posse af Säby, born 4 October 1891 at St. Louis, died 25 June 1893 at St. Louis. 2.2.3.2.1.6.2.1.5.9.5.3. baron Conrad Oskar Sperling Posse af Säby, born 25 October 1844 at Lindö, died 21 December 1923 at Uddevalla, buried Uddevalla cemetery north, married 21 November 1879 at Uddevalla Jane Ellen Thorburn (born 25 May 1857 at Sörvik, died 31 December 1897 at Uddevalla, daughter of merchant Robert Macfie Thorburn and Alma Matilda Jacobi). 2.2.3.2.1.6.2.1.5.9.5.3.1. baroness Jane Elsa Axianne, born 9 August 1880 at Sörvik, married 15 December 1903 at Ardmore mayor Johan Fredrik Bååth (born 19 February 1870 at Norrköping). 2.2.3.2.1.6.2.1.5.9.5.3.2. baron Knut Robert Mauritz Posse af Säby, born 18 February 1882 at Stockholm, married 20 October 1913 at Linköping Aina Hildegard Maria Schoug, divorced 6 May 1924 (born 3 December 1890 at Söderköping, daughter of property-owner Adalbert Perpetuus Rudolf Schoug and Agnes Augusta Marina Munck). 2.2.3.2.1.6.2.1.5.9.5.3.2.1. baron Knut Christer Knutsson, born 11 November 1914 at Sollefteå. 2.2.3.2.1.6.2.1.5.9.5.3.2.2. baroness Görel Agnes Knutsdotter, born 19 June 1920 at Hälsingborg. 2.2.3.2.1.6.2.1.5.9.5.3.3. baroness Görel Alma, born 16 December 1883 at Uddevalla. 2.2.3.2.1.6.2.1.5.9.5.3.4. baron Lage Conrad Posse af Säby, born 25 August 1885 at Uddevalla, married 16 December 1912 at Stockholm Elsa Tyra Charlotta Bräcke (born 28 August 1886 at Stockholm, daughter of cashier Vilhelm Bräcke and Axeline Bergentz). 2.2.3.2.1.6.2.1.5.9.5.3.4.1. baron Lage Göran Sperling Posse af Säby, born 16 January 1914 at Karlskrona. 2.2.3.2.1.6.2.1.5.9.5.3.4.2. baron Nils Lage Vilhelm Posse af Säby, born 31 October 1916 at Karlskrona. 2.2.3.2.1.6.2.1.5.10. baron Christer Posse af Säby, born 19 December 1776 at Borrud, died 31 August 1836 at Copenhagen, engaged to Gustava Henrietta Agriville (born 30 December 1790, died 18 February 1858 at Ingasäter, buried Säter church). 2.2.3.2.1.6.2.1.5.10.1. baron Christer Vilhelm Posse af Säby, born 2 May 1819 at Munstorp, died unmarried 1 January 1896 at Skövde, buried Skövde new cemetery. 2.2.3.2.1.6.2.1.5.10.2. baroness Amalia Gustava, born 29 March 1820 at Munstorp, died 12 April 1889 at Stångsäter, buried Säter cemetery captain Hans Frölich (born 1806, died 1870). 2.2.3.2.1.6.2.1.5.10.3. baron Axel Georg Posse af Säby, born 3 March 1821 at Munstorp, died 19 April 1907 at Haggården, buried Leksberg cemetery, married 14 August 1860 at Haggården Fredrika Charlotta Maria Carleson (born 29 May 1838 at Säckestad, died 31 October 1915 at Mariestad, buried 6 November 1915 Leksberg church). 2.2.3.2.1.6.2.1.5.10.4. baroness Hilda Christina, born 14 July 1823 at Munstorp, died 7 July 1903 at Skövde, buried Berg church, married 2 May 1855 at Ingasäter major Ulrik Ivar Scheffer (born 1817, died 1893). 2.2.3.2.1.6.2.1.5.11. baroness Ebba, born 6 February 1778, died 22 December 1848 at Mariestad, buried Fogdö church, married 1 July 1803 at Edeby baron Johan Gabriel Sack (born 1756, died 1830). 2.2.3.2.1.6.2.1.5.12. baroness Anna Vilhelmina, born 5 November 1779, died 21 November 1858 at Kristinehamns, buried at Kristinehamn, married 26 December 1795 at Torarp lieutenant Johan Niklas Nordenfeldt (born 1759, died 1825). 2.2.3.2.1.6.2.1.5.13. baron Knut Posse af Säby, born 9 April 1782, died 14 April 1782 at Borrud. 2.2.3.2.1.6.2.1.6. baron Christer Lindorm Posse af Säby, born 31 March 1740 at Säby, died 24 April 1814 at Stockholm, buried Lossa church, married 1stly 6 August 1767 at Edeby Fredrika Lovisa Zander (born 13 May 1745 at Stockholm, died 14 August 1779 at Mariestad, buried Berga church); married 2ndly 21 February 1805 at Toresta countess Christina Charlotta Amalia Cronhielm af Hakunge (born 4 February 1787, died 25 October 1826 at Stockholm). 2.2.3.2.1.6.2.1.6.1. *by 1* baroness Anna Margareta Helena, born 17 July 1768 at Hålbonäs, died 22 September 1768 at Hålbonäs. 2.2.3.2.1.6.2.1.6.2. *by 1* baron Nils Mauritz Posse af Säby, born 10 July 1769 at Hålbonäs, died 15 August 1769 at Hålbonäs. 2.2.3.2.1.6.2.1.6.3. *by 1* baroness Maria Hedvig, born 2 June 1775 at Säbyholm, died 21 August 1818 at Stockholm, buried Haraker cemetery, married 16 September 1792 count Knut Posse (born 1755, died 1814). 2.2.3.2.1.6.2.1.6.4. *by 2* baron Axel Göran Posse af Säby, born 2 February 1810, died unmarried 8 April 1858 at Stockholm. 2.2.3.2.1.6.2.1.7. baron Johan Henrik Posse af Säby, christened 30 October 1742 at Säby, died 1 October 1781 in Surinam, "massacred by the negroes", married 11 July 1765 Sigrid von Ehrenheim (born 11 January 1745, died 31 December 1773 at Främmestad, buried 14 Janaury 1774). 2.2.3.2.1.6.2.1.7.1. baron Carl Gustaf Posse af Säby, born 13 July 1766 at Främmestad, died 12 June 1768 at Främmestad. 2.2.3.2.1.6.2.1.7.2. baroness Sara Regina, born 13 June 1767 at Främmestad, died unmarried 4 December 1840. 2.2.3.2.1.6.2.1.7.3. baroness Beata Margareta, born 18 February 1769 at Främmestad, died unmarried 25 November 1828 at Stockholm. 2.2.3.2.1.6.2.1.7.4. baron Carl Henrik Posse af Säby, born 21 February 1770 at Främmestad, died 19 November 1824 at Hedåker, buried Sparlösa cemetery, married 1stly 21 May 1801 at Ulvstorp Sara Johanna Ribben (born 6 January 1782, died 20 April 1802 at Ulvstorp); married 2ndly 3 November 1805 at Ulvstorp Sofia Augusta Ribben (born 8 September 1784 at Levene parish, died 1 March 1851 at Stockholm, buried Stockholm cemetery north. She was the sister of his first wife. 2.2.3.2.1.6.2.1.7.4.1. *by 1* a stillborn son, born 20 April 1802. 2.2.3.2.1.6.2.1.7.4.2. *by 1* baron Johan Evald Pose af Säby, born 20 April 1802 at Ulvstorp, died 27 May 1802 at Ulvstorp. 2.2.3.2.1.6.2.1.7.4.3. *by 2* baron Carl Gustaf Posse af Säby, born 3 August 1812 at Ulvstorp, died unmarried 7 January 1878 at Stockholm, buried Stockholm cemetery north. 2.2.3.2.1.6.2.1.7.4.4. *by 2* baron Lage Evald Posse af Säby, born 25 September 1813 at Ulvstorp, died 10 May 1897 at Stockholm, buried Västra Tunhem cemetery, married 17 March 1850 at Skämningsfors Charlotta Catharina Ingeborg Nyblaeus (born 5 August 1829 at Jönköping, died 3 October 1917 at Stockholm, daughter of Nils Fredrik Nyblaeus and Johanna Catharina Wiberg). 2.2.3.2.1.6.2.1.7.4.5. *by 2* baron Johan August Posse af Säby, born 18 March 1815 at Ulvstorp, died 5 June 1865 at Stockholm, buried Stockholm cemetery north, married 1stly 8 October 1850 at Stockholm Tekla Eva Amalia Heijkenskjöld (born 11 August 1828 at Stockholm, died 4 February 1853 at Stockholm); married 2ndly 19 May 1856 at Bors mill Elisabet Catharina Ehrenborg (born 22 July 1818 at Råbäck, died 22 March 1880 at Södertälje). 2.2.3.2.1.6.2.1.7.4.5.1. *by 1* baron Carl Christer Posse af Säby, born 20 January 1853, died 22 November 1853 at Stockholm, buried Stockholm cemetery north. 2.2.3.2.1.6.2.1.7.4.5.2. *by 2* baron August Mikael Posse af Säby, born 1 March 1857 at Stockholm, died unmarried 6 January 1887 at Hauptweil, Switzerland, and was buried there. 2.2.3.2.1.6.2.1.7.4.5.3. *by 2* baroness Anna Elisabet, born 7 October 1859, died 13 February 1929 at Uppsala, buried Västerås cemetery east, married at Västerås 29 March 1900 bishop Nils Lövgren (born 29 March 1852 at Kila parish, died 7 February 1920 at Västerås, buried 11 February 1920 at Västerås cathedral). 2.2.3.2.1.6.2.1.7.4.5.4. *by 2* baroness Hedvig Amalia, born 8 August 1861, died unmarried 22 December 1927 at Uppsala, buried Uppsala old cemetery. 2.2.3.2.1.6.2.1.7.4.6. *by 2* baroness Johanna Sofia, born 4 January 1819, died unmarried 6 June 1855 at Stockholm, buried Stockholm cemetery north. 2.2.3.2.1.6.2.1.7.4.7. *by 2* baron Knut Henrik Posse af Säby, born 10 August 1824 at Hedåker, died 18 January 1883 at Marieberg, buried Stockholm cemetery north, married 10 September 1859 at Skär Sofia Vilhelmina Lilliestråle (born 17 September 1835 at Lagnö, died 9 June 1923 at Stockholm). 2.2.3.2.1.6.2.1.7.4.7.1. baroness Elsa Sofia, born 8 February 1861 at Stockholm, married 22 December 1894 at Gustaf Adolf church, Stockholm, Markus Fideli Uppling (born 15 February 1862 at Malmö). 2.2.3.2.1.6.2.1.7.4.7.2. baron Nils Posse af Säby, born 15 May 1862 at Stockholm, died 18 December 1895 at Boston, US, buried Stockholm cemetery north, married 29 June 1887 at Newburyport, Massachusetts, US, Rose Moore Smith (born 1 December 1859, daughter of merchant Foster Waldo Smith and Catharina Moore Ballou). 2.2.3.2.1.6.2.1.7.5. baroness Anna Charlotta, born 9 March 1771 at Främmestad, died 29 March 1832 at Mariestad, married 7 July at Lidköping the mayor of Skara Svante Planck (born 1757 at Sexdränga, died 1826). 2.2.3.2.1.6.2.1.7.6. baron Gustaf Mauritz Posse af Säby, born 10 October 1772 at Främmestad, died unmarried 21 August 1809 at Almeåsen, buried 27 August 1809. 2.2.3.2.1.6.2.1.7.7. baron Christer Lindorm Posse af Säby, born 17 December 1773 at Främmestad, died 17 February 1774 at Främmestad. 2.2.3.2.1.6.2.1.8. baroness Hedvig, christened 18 November 1744 at Säby, died 24 November 1802 at Gammelstorp, married 28 August 1764 at Säby David Fredrik Hummelhielm (born 1735, died 1785). 2.2.3.2.1.6.2.1.9. baron Gabriel Posse af Säby, christened 15 June 1748 at Säby, died 28 August 1820 at Ingarud, buried Berga cemetery, married 19 October 1781 at Attorp baroness Gertrud Margareta Christina von Knorring (born 9 January 1761, died 24 October 1787 at Säby, buried Berga church). 2.2.3.2.1.6.2.1.9.1. baroness Christina, born 1782 at Säby, died unmarried 14 March 1856 at Ingarud, buried Berga cemetery. 2.2.3.2.1.6.2.1.9.2. baroness Brita, born 28 August 1783, died 6 April 1863 at Örebro, buried at Örebro, married 28 October 1804 at Säby colonel Bernt Adolf Aminoff (born 1777, died 1842). 2.2.3.2.1.6.2.1.9.3. baron Mauritz Lindorm Posse af Säby, born 26 November 1784, died 17 February 1785 at Säby. 2.2.3.2.1.6.2.1.9.4. baron Axel Gustaf Posse af Säby, born 26 November 1784, died 22 May 1785 at Säby. 2.2.3.2.1.6.2.1.9.5. baroness Märta, born 25 January 1786, fell down a staircase and died unmarried 25 September 1860 at Mariestad, buried Berga church. 2.2.3.2.1.6.2.1.9.6. baron Knut Posse af Säby, born 17 August 1787, died 12 May 1788 at Säby. 2.2.3.2.1.6.2.2. baron Nils Christian Posse af Säby, born 27 March 1707 at Gothenburg, died 1718. 2.2.3.2.1.6.2.3. baron Lennart Johan Posse af Säby, born 13 March 1708 at Gothenburg, buried 4 June 1708 at the German church, Gothenburg. 2.2.3.2.1.6.2.4. baroness Eleonora Magdalena Mariana, born 20 January 1711 at Wismar, died 11 May 1743, buried Altuna church, married 18 June 1728 count Lars Cronhielm af Flosta (born 1698, died 1755). 2.2.3.2.1.6.2.5. count Mauritz Posse, born 1712 at Lübeck, died 19 July 1787 at Stockholm, buried Berga church, married 23 November 1738 countess Beata Christina Posse (christened 23 June 1720, died 1739, buried Berga church). 2.2.3.2.1.6.2.5.1. count Nils Posse, born 24 April 1739 at Stockholm, died 7 January 1818 at Hellekis, married 12 November 1765 at Stockholm castle baroness Sara Margareta von Düben (christened 15 July 1742 at Stockholm, died 1 March 1814 at Hellekis). 2.2.3.2.1.6.2.5.1.1. countess Fredrika Lovisa Beata, born 28 August 1766 at Stockholm, died unmarried 13 January 1841 at Hellekis, buried Medelplana cemetery. 2.2.3.2.1.6.2.5.1.2. countess Henrietta, born 13 October 1781, died 13 May 1812 at Mariestad, married 28 August 1808 at Hellekis captain Johan Georg Karlström (born 1762, died 1811). 2.2.3.2.1.6.3. *by 1* baroness Magdalena Christina, born 1661, died 1697, buried Skara cathedral, married 20 December 1685 major Gustaf Soop (born 1658, died 1723). 2.2.3.2.1.6.4. *by 1* baron Lennart Posse af Säby, born 1662, died 1 December 1701 at Livonia, married 28 August 1698 at Ottenküll Anna Elisabet von Stryk (died 1710, daughter of Magnus Ernst von Stryk till Ottenkull and Elisabet von Schulmann). 2.2.3.2.1.6.4.1. baron Moritz Posse af Säby, born 1699, died November 1734 at Woldema, Livonia, married 3 March 1721 at Reval Anna Charlotta von Güntersberg (daughter of Eberhard von Güntersberg and Margareta von Lode). 2.2.3.2.1.6.4.1.1. baroness Anna Elisabet, married 9 April 1741 at Reval the Russian lieutenant-general baron Carl Casper von Gaugreben (born 1716, died 1767). 2.2.3.2.1.6.4.1.2. baron Carl Magnus Posse af Säby, born 1728, died 1 January 1773, buried Hallist cemetery, married Erika Johanna von Smitten (born 1729, died 4 January 1780, daughter of Erik Johan von Smitten). 2.2.3.2.1.6.4.1.2.1. baroness Helena, born 1752, died 2 July 1822 at Reval, married 1770 the Russian lieutenant-colonel Carl Gustaf Igelström (born 1738, died 1788). 2.2.3.2.1.6.4.1.2.2. baroness Anna Charlotta, born 28 April 1754, died July 1808, buried Hallist cemetery, married baron Hans Conrad Vilhelm von Ungern-Sternberg (born 1748, died 1820). 2.2.3.2.1.6.4.1.2.3. baroness Margareta Elisabet, born 1755, married 1stly 12 April 1793 the Russian lieutenant Georg Fredrick von Brackel (born 1 January 1742, buried 9 February 1792 at Arrol); married 2ndly a baron Stampe. 2.2.3.2.1.6.4.1.2.4. baron Moritz Posse af Säby, born 1756, died 1804, married Eufrosyne Ulrika von Liphardt (born 1760, died 1791). 2.2.3.2.1.6.4.1.2.4.1. baroness Johanna Vilhelmina, born 30 September 1779, died 31 December 1831 at Sehlen, married 24 September 1797 at Dorpat Fredrik von Löwis of Menar (born 6 September 1767 at Hapsal, died 16 April 1824 at Sehlen). 2.2.3.2.1.6.4.1.2.5. baron Georg Posse af Säby, born 1758, died 12 November 1801, buried Hallist cemetery, married Vilhelmina von Lieven (born 3 April 1767, died 30 May 1713 at Pskov, daughter of the Russian major-general prince Otto Henrik von Lieven and the the Lady-in-waiting of Tsar Alexander I baroness Charlotta Margareta von Gaugreben). 2.2.3.2.1.6.4.1.2.5.1. baroness Maria, born 25 October 1789, died 27 December 1850, buried Hallist cemetery, married the Russina vice-governor of Pskov, Christer von Rennenkampf. 2.2.3.2.1.6.4.1.2.5.2. baron Otto Henrik Posse af Säby, born 15 July 1795, killed in battle by Moscow 1812. 2.2.3.2.1.6.4.1.2.6. baroness Carolina Johanna, born 1759, died September 1828, buried Hallist cemetery, married Fredrik Adolf von Stackelberg (of the house of Ellistfer-Köttlitz, born 1754, died 1814). 2.2.3.2.1.6.4.1.2.7. baroness Elisabet, born 1761, died 1815, married 1stly 31 August 1783 major Carl Casper von Engelherdt, divorced (born 22 August 1758, died 6 May 1817); married 2ndly Sachar Muraviev. 2.2.3.2.1.6.4.1.2.8. baron Eberhard Gustaf Posse af Säby, born 3 June 1763, died 1815, buried Hallist cemetery. 2.2.3.2.1.6.4.1.2.9. baron Carl Magnus Posse af Säby, born 1766, died 1801. 2.2.3.2.1.6.4.1.2.10. baron Gotthard Posse af Säby, born 1768, died unmarried 23 November 1833, buried Hallist cemetery. 2.2.3.2.1.6.4.1.3. baron Eberhard Gustaf Posse af Säby, born 1729, died unmarried 1791, buried at Hallista cemetery. 2.2.3.2.1.6.4.2. baroness Anna Magdalena, died 1710 from the plague. 2.2.3.2.1.6.5. *by 1* baron Carl Gustaf Posse af Säby, christened 23 October 1663 at Stockholm. 2.2.3.2.1.6.6. *by 1* baron Carl Magnus Posse af Säby, born 1660:s, died 11 April 1715 at Moscow during his Russian captivity. 2.2.3.2.1.6.7. *by 1* baroness Barbro Beata, born 20 February 1667, died 16 June 1678, buried Ripsa church. 2.2.3.2.1.6.8. *by 1* baroness Christina Dorotea, born before 12 February 1668, died before 14 April 1721, married 24 July 1692 colonel Georg Zelow (born 1640:s, died 1708). 2.2.3.2.1.6.9. *by 1* baron Axel Posse af Säby, born 1 June 1669, died 9 February 1698, buried 30 December 1698 at Lossa church. 2.2.3.2.1.6.10. *by 1* baron Christer Ludvig Posse af Säby, died 1735, buried Berga church. 2.2.3.2.1.6.11. *by 2* baron Mauritz Posse af Säby, born 1670:s, died 3 October 1724 at Edeby, buried 6 February 1725 at Lossa church, married 1stly 1700 countess Charlotta Hastfer (born 1670:s, died 1705); married 2ndly 1706 baroness Anna Christina Fleming af Liebelitz (born 15 December 1692 at Stockholm, died 3 June 1773 at Stockholm, buried Lossa church). 2.2.3.2.1.6.11.1. *by 2* baroness Vendela Christina, born 31 March 1707 at Säbyholm, died 1730:s, married 18 March 1729 count Carl Stenbock (born 1701, died 1746). 2.2.3.2.1.6.11.2. *by 2* baroness Maria, born 30 March 1709, died 1717 at Säbyholm, buried 16 March 1717 at Lossa church. 2.2.3.2.1.6.11.3. *by 2* baron Axel Magnus Posse af Säby, born 22 August 1710, reported to have moved to France and to have become a catholic. 2.2.3.2.1.6.11.4. *by 2* baron Nils Mauritz Posse af Säby, born 23 September 1711, died 8 January 1712 at Säbyholm, buried 11 January 1712 at Lossa church. 2.2.3.2.1.6.11.5. *by 2* baron Göran Mauritz Posse af Säby, born 22 March 1713, died unmarried 1733. 2.2.3.2.1.6.11.6. *by 2* baron Lage Posse af Säby, born 2 December 1714 at Säbyholm, died 9 March 1747 at Säbyholm, married baroness Sofia Birgitta Palmqvist (christened 16 January 1712 at Stockholm, died 20 January 1782 at Hånö). 2.2.3.2.1.6.11.6.1. baron Mauritz Lagesson Posse af Säby, born 6 February 1741 at Sjösa, died unmarried 12 March 1770 at Stockholm, buried 23 March 1770. 2.2.3.2.1.6.11.6.2. baron Magnus Lagesson Posse af Säby, born 11 July 1742 at Gerstaberg, died 20 May 1798 at Hälsingborg, married 28 November 1776 at Mauritsberg Henrietta Maria Klingspor (born 1757, died 15 January 1835). 2.2.3.2.1.6.11.6.3. baron Fredrik Posse af Säby, born 21 June 1744, died 14 December 1744. 2.2.3.2.1.6.11.7. *by 2* baroness Anna, born 6 December 1715, died 13 November 1777 at Säbyholm, buried 24 November 1777 at Lossa church, married 10 May 1743 lieutenant-general Daniel Johan Zander (born 1685, died 1762). 2.2.3.2.1.6.11.8. *by 2* baroness Maria, born 16 June 1717, died unmarried 2 March 1784 at Säbyholm, buried 13 March 1784. 2.2.3.2.1.6.11.9. *by 2* baroness Catharina Ebba, born 5 April 1719, died young. 2.2.3.2.1.6.11.10. *by 2* baron Mauritz Posse af Säby, born 2 November 1722, died 25 June 1793 at Stockholm, buried Lossa church, married July 1752 countess Vendla Posse (born 23 April 1723, died 6 May 1787 at Säbyholm, buried 13 May 1787 at Lossa). 2.2.3.2.1.6.11.11. *by 2* baroness Hedvig Margareta, born 4 October 1724, died unmarried 23 January 1785 at Säbyholm, buried 6 February 1785 at Lossa church. 2.2.3.2.1.6.12. *by 2* baron Göran Posse af Säby, born 12 April 1675, died 22 May 1680, buried Ripsa church. 2.2.3.2.1.6.13. *by 2* baroness Anna Christina, died 13 February 1702 at Wismar, Germany, married 21 May 1691 at Stockholm count Carl Julius Lewenhaupt (born 1664, died 1726). 2.2.3.2.1.6.14. *by 2* baroness Ingeborg Margareta, died after 25 March 1738 at Skävesund, buried Glanshammar church, married 5 April 1697 at Säbyholm colonel Gustaf Reuter af Skälboö (died 1732). 2.2.3.2.1.6.15. *by 2* baron Johan Peter Posse af Säby, killed by an angered Pole 29 July 1703 at Lautersburg, Poland, married countss Anna Sofia Spens (born 9 June 1686 at Vists parish, died 13 January 1761 at Stockholm). 2.2.3.2.1.7. Christina, died unmarried after 1685. 2.2.3.2.1.8. Axel Posse, drowned unmarried 28 September 1666 at Lidköping river, buried Mariestad church. 2.2.3.2.1.9. Maria Eleonora, died unmarried December 1694 at Stockholm. 2.2.3.2.1.10. Nils Posse, died 5 September 1634, buried Mariestad church. 2.2.3.2.3. Johan Posse, born 1590:s, died after 1640, married 1619 Anna Sting. 2.2.3.2.3.1. Göran Posse, born 10 July 1620 at Häggesled, died 7 October 1686 at Tisslegård, buried 4 March 1688 at Forshem church, married 1stly at Segerstad Brita Hård af Segerstad, divorced; married 2ndly Anna Magdalena Hård af Torestorp (born 6 January 1634, died 1674, buried Forshem church). 2.2.3.2.3.1.1. *by 1* count Knut Posse, born 1640:s at Tisslegård, created baron and count Posse, died 7 August 1714, buried Riddarholms church, married 1stly 17 March 1681 at Stockholm baroness Ingeborg Bielke (born 12 June 1652 at Stettin, died 31 December 1682 at Stockholm, buried Riddarholms church); married 2ndly 22 June 1686 Anna Christina Natt och Dag (died 27 December 1747 at Stockholm). All issue by second spouse. 2.2.3.2.3.1.1.1. count Carl Posse, born 11 June 1687, died 13 August 1737, married 25 August 1717 countess Christina Margareta Eleonora Lillienstedt (born 23 October 1700, died 19 August 1784 at Kummelnäs). 2.2.3.2.3.1.1.1.1. countess Ulrika Eleonora, born 9 July 1718, died November 1719. 2.2.3.2.3.1.1.1.2. count Knut Posse, born 18 August 1719 at Stockholm, died 20 April 1771 Dalbygård, married 11 June 1761 at Stockholm Hedvig Augusta Sparfvenfeldt (born 14 May 1731, died 18 March 1810 at Stockholm). 2.2.3.2.3.1.1.1.2.1. countess Eleonora Christina Augusta, born 7 July 1762 at Helsinki, died 5 November 1822 at Litslena, buried Litslena parish, married 28 August 1785 major Alexander Didrik von Essen af Zellie (born 1751, died 1827). 2.2.3.2.3.1.1.1.2.2. count Lage Posse, born 25 May 1763, died unmarried 27 March 1784. 2.2.3.2.3.1.1.1.3. count Carl Posse, born 1720, died young. 2.2.3.2.3.1.1.1.4. count Fredrik Posse, born 29 September 1722 at Stralsund, died 14 September 1801 at Ekhammar, buried Svenarum cemetery, married 7 August 1774 at Malmbäck church Carolina Stedt (born 14 August 1751 at Viresjö, died 8 January 1835 at Fågelvik, interred at Svenarum cemetery 8 February 1836). 2.2.3.2.3.1.1.1.4.1. countess Margareta Eleonora, born 11 July 1775 at Munstorp, died 18 June 1854 at Norrköping, married 19 December 1801 at Ekhammar Carl Vilhelm Rappe (born 1772, died 1831). 2.2.3.2.3.1.1.1.4.2. countess Carolina, born 8 December 1776 at Munstorp, died 22 November 1843 at Alingsås, married 7 September 1794 colonel Johan Teodor Gripenstedt (born 1765, died 1821). 2.2.3.2.3.1.1.1.4.3. countess Charlotta Fredrika, born 17 June 1777, died 21 July 1779. 2.2.3.2.3.1.1.1.4.4. count Claes Carl Henrik Posse, born 25 March 1778 at Munstorp, died 15 June 1823 at Stockholm, married 4 October 1809 at Hamburg Adine de Breant (from Paris, died 12 March 1827 at Paris). 2.2.3.2.3.1.1.1.4.5. count Fredrik Gustaf Posse, born 18 October 1779, died 25 August 1781 at Slädene. 2.2.3.2.3.1.1.1.4.6. count Arvid Posse, born 11 June 1782, died 1826 at Buenos Aires, married 28 MArch 1818 at Rome Christine Alexandrine Egypta Bonaparte, divorced 1824 (born 1798, died 1847 at Rome, daughter of Lucien Bonaparte, prince of Canino and Musignano and his first spouse Christine Boyer). 2.2.3.2.3.1.1.1.4.7. countess Fredrika, born 31 April 1784, died 17 February 1787 at Slädene. 2.2.3.2.3.1.1.1.4.8. count Claes Fredrik Posse, born 20 October 1785, died 6 September 1839 at Fågelvik, buried Tryserum cemetery, married 18 October 1832 at Forsby baroness Fredrika Vilhelmina Lybecker (born 25 January 1801 at Forsby, died 24 July 1879 at Claestorp). 2.2.3.2.3.1.1.1.5. count Göran Posse, born 31 December 1723 at Stralsund, died 6 April 1779 at Lövsta, married 7 June 1764 at Stockholm baroness Christina Johanna Bielke (born 22 January 1746 at Lvsta, died 18 APril 1820 at Uppsala). 2.2.3.2.3.1.1.1.5.1. countess Eleonora Christina, born 14 August 1765, died unmarried 1 June 1819 at Uppsala. 2.2.3.2.3.1.1.1.5.2. countess Charlotta Gustava, born 13 March 1775 at Lövsta, died 31 March 1860 at Uppsala, buried at Helga Trefaldighets cemetery, Uppsala, married 26 August 1798 at Hålbonäs baron Claes Cederström (born 1772, died 1840). 2.2.3.2.3.1.1.1.6. countess Christina Margareta Eleonora, born 13 June 1725, died 3 July 1812 at Myrö, buried Ringkarleby church, married 9 July 1749 at Kummelnäs count Per Kalling (born 1700, died 1795). 2.2.3.2.3.1.1.1.7. countess Johanna Charlotta, born 26 October 1729, died 30 May 1810 at Stockholm, married 1 May 1757 at Stockholm Castle baron Lorentz Johan Giös (born 1710, died 1774). 2.2.3.2.3.1.1.2. countess Hedvig Ulrika, born 4 August 1688 at Stockholm, died 19 June 1762 at Stockholm, married 1stly 1707 Carl Gustaf Rosenstierna (born 1667, died 1708); married 2ndly 8 January 1711 count Olof Törnflycht (born 1680, died 1737). 2.2.3.2.3.1.1.3. count Arvid Posse, born 23 November 1689 at Stockholm, died 30 January 1754 at Stockholm, buried 5 February 1754 at Riddarholmschurch, interred 5 February 1754 at Västerås cathedral, married 18 September 1718 at Stockholm Castle countess Hedvig Christina Stenbock (christened 11 September 1699 at Stockholm, died 31 August at Svanå, buried 15 September 1759 at Västerås cathedral). 2.2.3.2.3.1.1.3.1 count Carl Posse, born 29 June 1719, died 4 December 1791 at Haga, buried Svinnegarn church, married 18 February 1748 at Svinnegarn church Helena Ulrika Falkenberg af Bålby (born 18 August 1732, died 10 February 1800 at Haga). 2.2.3.2.3.1.1.3.1.1. countess Hedvig Maria, born 10 January 1749, died 20 March 1773 at Åbylund, buried Romfartuna church, married 24 September 1771 at Haga major Carl Johan Sparfvenfeldt (born 1739, died 1809). 2.2.3.2.3.1.1.3.1.2. count Arvid Posse, born 3 December 1749, died 20 January 1824 at Hornö, married 1stly 20 September 1793 at Hornö Johanna Beata Malmerfelt (born 12 January 1767, died 12 July 1796 at Hornö); married 2ndly 21 April 1799 at Stockholm Hedvig Ulrika Staël von Holstein (born 16 October 1775, died 8 January 1822). 2.2.3.2.3.1.1.3.1.2.1. *by 1* countess Beata Ulrika, born 12 June 1795 at Arnöberg, died unmarried 2 August 1864 at Stockholm, buried Arnö cemetery. 2.2.3.2.3.1.1.3.1.2.2. *by 2* countess Hedvig Charlotta Fredrika, born 25 June 1800, died unmarried 18 December 1833 at Hillersjö. 2.2.3.2.3.1.1.3.1.2.3. *by 2* count Carl Georg Posse, born 8 October 1801 at Arnöberg, died 15 October 1882 at Södertälje, buried at Södertälje, married 5 April 1840 at Fors mill Hedvig Desideria Björkenstam (born 21 July 1812, died 14 May 1877 at Södertälje). 2.2.3.2.3.1.1.3.1.2.3.1. count Svante Carl Arvid Posse, born 11 May 1841, died 23 April 1847 at Björnö, buried 2 May 1847 at Frötuna church. 2.2.3.2.3.1.1.3.1.2.3.2. countess Anna Hedvig Maria, born 18 May 1850, died unmarried 3 January 1909 at Vadstena, buried at Vadstena. 2.2.3.2.3.1.1.3.1.2.4. *by 2* count Knut Arvid Posse, born 11 July 1804 at Arnöberg, died unmarried 21 November 1851 at Solberga. 2.2.3.2.3.1.1.3.1.2.5. *by 2* count Fredrik Gustaf Posse, born 30 August 1805 at Arnöberg, died unmarried 28 May 1859 at Nybyholm. 2.2.3.2.3.1.1.3.1.2.6. *by 2* countess Maria Aurora Johanna, born 13 February 1807 at Arnöberg, died 16 February 1878 at Stockholm, buried Arnö cemetery, married 23 September 1827 at Brunsholm Carl Gustaf Klingspor (born 1786, died 1833). 2.2.3.2.3.1.1.3.1.2.7. *by 2* countess Mariana Sofia Gustava, born 21 September 1808 at Hornö, died 5 June 1886 at Uppsala, buried Uppsala cemetery, married 14 September 1830 at Brunsholm Carl Gustaf von Bahr (born 1796, died 1880). 2.2.3.2.3.1.1.3.1.2.8. *by 2* countess Lovisa Bernhardina, born 26 September 1811 at Hornö, died unmarried 30 December 1897, buried Arnö cemetery. 2.2.3.2.3.1.1.3.1.3. count Henrik Posse, born 23 April 1752 at Stockholm, died 16 July 1803 at Haga, buried Svinnegarn church, married 4 July 1793 at Norrköping Anna Maria Svab (born 10 February 1753, died 16 May 1818). 2.2.3.2.3.1.1.3.1.3.1. countess Helena Charlotta Henrietta, born 18 January 1795 at Haga, died 12 December 1855, buried at Umeå, married 30 March 1815 at Haga Carl Ludvig von Hohenhausen (born 1787, died 1868). 2.2.3.2.3.1.1.3.1.4. count Carl Posse, born 26 December 1757 at Stockholm, died unmarried 4 March 1790. 2.2.3.2.3.1.1.3.2. countess Beata Christina, christened 23 June 1720, died 1739, buried Berga church, married 23 November 1738 count Mauritz Posse af Säby (born 1712, died 1787). 2.2.3.2.3.1.1.3.3. countess Johanna Eleonora, christened 2 July 1721, died 22 March 1730. 2.2.3.2.3.1.1.3.4. count Knut Posse, born 10 March 1724, died 8 January 1788 at Svanå, buried Västerås cathedral, married 15 September 1751 baroness Fredrika Wrangel af Lindeberg (born 12 October 1728, died 28 October 1788 at Svanå). 2.2.3.2.3.1.1.3.4.1. countess Christina Elisabet, born 4 December 1752, died unmarried 6 November 1773 at Svanå, buried Teda church. 2.2.3.2.3.1.1.3.4.2. count Knut Posse, born 16 December 1755, died 4 August 1814 at Svanå, buried Haraker cemetery, married 16 September at Hassle-Säby baroness Maria Hedvig Posse af Säby (born 2 June 1775 at Säbyholm, died 21 August1818 at Stockholm, buried Haraker cemetery). 2.2.3.2.3.1.1.3.4.2.1. count Knut Lindorm Posse, born 19 August 1802 at Stockholm, died 8 August 1840 at Svanå, buried Haraker cemetery, married 1 July 1826 at Stockholm Charlotta Margareta Rosén (born 23 November 1807 at Stockholm, died 11 December 1881 at Uppsala). 2.2.3.2.3.1.1.3.4.2.1.1. count Knut Posse, born 22 May 1827 at Stockholm, died 8 September 1908 ta Stockholm, buried 12 September 1908 Haraker church, married 12 October 1863 at Stockholm Louise Henriette Arfwedson (born 12 April 1844 at Stockholm, died 14 February 1912 at Stockholm, daughter of merchant John Edvard Arfwedsson and baroness Louise Adrienne De Geer af Finspång). 2.2.3.2.3.1.1.3.4.2.1.1.1. countess Emma Louise Charlotta, born 11 November 1864f at Karlskrona, married 30 December 1890 at Stockholm count Nils Fredrik Posse (born 1853, died 1919). 2.2.3.2.3.1.1.3.4.2.1.1.2. count Knut Arvid Posse, born 23 December 1866 at Norrköping, married 20 May 1896 at Karlskrona countess Sigrid Mary Louise Wachtmeister af Johannishus (born 3 February 1871 at Borgeby, died 1960). 2.2.3.2.3.1.1.3.4.2.1.1.2.1. count Knut Knutson Posse, born 5 October 1897 at Karlskrona, died 1972, married 22 October 1928 at Skeppsholms church, Stockholm, baroness Alice Brita Ida von Essen (born 3 December 1904 at Malmö, died 1983). 2.2.3.2.3.1.1.3.4.2.1.1.2.1.1. count Knut Reinhold Knutsson Posse, born 20 July 1930 at Stockholm, married 31 October 1958 Margareta Charlotta Trozelli (born 19 July 1933). 2.2.3.2.3.1.1.3.4.2.1.1.2.1.1.1. countess Gunilla Margareta Knutsdotter, born 21 January 1960, married 27 May 1989 Per Gustaf Vilhelm Aschan (born 30 September 1957). 2.2.3.2.3.1.1.3.4.2.1.1.2.1.2. countess Mary Birgitta Knutsdotter, born 16 July 1933, married 12 September 1964 Sven Jan Pousette (born 29 June 1931). 2.2.3.2.3.1.1.3.4.2.1.1.2.1.3. countess Kristina Elisabet Knutsdotter, born 1 May 1944. 2.2.3.2.3.1.1.3.4.2.1.1.2.2. countess Elisabet, born 12 June 1900 at Karlskrona, married 29 August 1926 at Danderyd church lieutenant Olof Samuel Fernando Odenrick (born 29 July 1894 at Barcelona, Spain). 2.2.3.2.3.1.1.3.4.2.1.1.2.3. countess Brita, born 17 June 1908 at Stockholm. 2.2.3.2.3.1.1.3.4.2.1.1.3. count Göran Edvard Henning Posse, born 7 November 1868 at Norrköping, married 1stly 15 July 1906 Elsa Viktoria Lilliehöök af Gälared och Kolbäck (born 14 May 1882 at Stockholm, died 27 March 1919 at Uppsala, buried at Uppsala); married 2ndly 4 July 1923 at Tisenhult, Marfa Zoë Lilliehöök af Gälared och Kolbäck (born 16 June 1889 at Dresden, Germany). 2.2.3.2.3.1.1.3.4.2.1.1.4. count Carl Erik Posse, born 23 August 1874 at Ronneby. 2.2.3.2.3.1.1.3.4.2.1.1.5. count Edvard Lage Posse, born 27 August 1876 at Trollhättan, died 7 October 1876 at Trollhättan. 2.2.3.2.3.1.1.3.4.2.1.2. countess Charlotta Gabriella, born 11 January 1829 at Svanå, died 19 July 1829 at Svanå, buried Haraker cemetery. 2.2.3.2.3.1.1.3.4.2.1.3. countess Ebba Maria, born 3 February 1832 at Svanå, died 28 June 1847 at Stockholm, buried Haraker cemetery. 2.2.3.2.3.1.1.3.4.2.1.4. countess Anna Charlotta, born 7 June 1833, died 28 June 1921 at Stockholm, buried Stigtomta cemetery, married 25 September 1858 at Hedenlunda major baron Erik Filip Ehrenkrona (born 1821, died 1889). 2.2.3.2.3.1.1.3.4.2.1.5. count Erik Posse, born 14 June 1835, died unmarried 26 February 1921 at Stockholm, buried 3 March 1921 Engelbrekt church Stockholm, interred at Harakaer cemetery. 2.2.3.2.3.1.1.3.4.2.2. countess Fredrika Lovisa, born 26 February 1803 at Stockholm, died 1809 at Svanå, buried 6 March 1809 at Haraker. 2.2.3.2.3.1.1.3.4.3. countess Beata Fredrika, born 7 May 1759 at Svanå, died 16 May 1829 at Karlslund, married 1stly 21 November 1797 at Kurö baron Carl Gustaf Funck (born 1749, died 1810); married 2ndly 16 June 1814 at Västerås Otto Henrik Stålhammar (born 1769, died 1841). 2.2.3.2.3.1.1.3.5. count Fredrik Posse, born 17 May 1727, died 11 December 1794 at Stockholm, buried Klara church, married 22 November 1752 baroness Ulrika Eleonora Wrangel af Lindeberg (born 15 April 1731, died 13 March 1795 at Ravnäs). 2.2.3.2.3.1.1.3.5.1. count Arvid Erik Posse, born 22 June 1753, died 25 March 1825 at Bergkvara, buried Bergsunda church, married 4 June 1784 at Växjö parish baroness Catharina Charlotta von Otter (born 10 June 1764 at Önnestad parish, died 18 January 1833 at Växjö). 2.2.3.2.3.1.1.3.5.1.1. count Fredrik Salomon Posse, born 27 February 1785 at Ravnäs, died 27 Apil 1853 at Närlunda, buried Kropp cemetery, married 1stly 27 February 1818 at Rosendal baroness Magdalena Charlotta Bennet (born 11 September 1796 at Rosendal, died 9 December 1834 at Rosendal, buried 13 December 1834); married 2ndly 18 June 1838 at Lund cathedral baroness Lovisa Ulrika Bennet (born 9 January 1799, died 5 February 1876 at Stockholm). 2.2.3.2.3.1.1.3.5.1.1.1. *by 1* countess Charlotta Vilhelmina Ulrika, born 5 January 1819 at Rosendal, died 22 May 1819 at Rosendal, buried Kropp cemetery. 2.2.3.2.3.1.1.3.5.1.1.2. *by 1* count Arvid Rutger Posse, born 17 February 1820 at Rosendal, died 24 April 1901 at Stockholm, buried 30 April 1901 at Jokob's church Stockholm, interred 1 May Snårestad cemetery, married 1stly 6 September 1846 at Löberöd countess Amalia Carolina de la Gardie (born 2 January 1821, died 30 July 1883 at Charlottenlund, buried Snåred cemetery); married 2ndly 18 January 1886 at Stockholm Ebba Augusta Hägerflycht (born 25 August 1843 at Fredriksdal, died 15 July 1911 at Stockholm, interred 22 July 1911 at Taxinge cemetery). 2.2.3.2.3.1.1.3.5.1.1.2.1. *by 1* countess Anna, born 5 June 1847 at Kristianstad, died 5 November 1915 at Stockholm, buried Karlskrona new cemetery, married 8 October 1881 at Stockholm Mauritz Per von Krusenstjerna (born 1830, died 1886). 2.2.3.2.3.1.1.3.5.1.1.2.2. *by 1* countess Hellevid, born 27 August 1848 at Charlottenlund, died 13 May 1919 at Ystad, buried Skabersjö cemetery, married 26 July 1879 at Balkåkra church baron Thor Thott (born 1835, died 1916). 2.2.3.2.3.1.1.3.5.1.1.2.3. *by 1* count Fredrik Arvidsson Posse, born 17 July 1851 at Charlottenlund, died 22 August 1897 at Ramlösa, buried 28 August 1897 at Snårestad cemetery, married 29 March 1883 at Växjö Auda Gunhild Wennerberg, born 3 March 1860 at Skara, died 30 November 1825 at Tumba, buried Odensvi parish, daughter of governor Gunnar Wennerberg and countess Hedda Sofia Cronstedt af Fullerö). 2.2.3.2.3.1.1.3.5.1.1.2.3.1. countess Amelie, born 11 February 1884 at Stockholm, married 1stly 23 June 1904 at Lund cathedral Prof. Sören Andreas Bjerre, divorced (born 21 March 1879 at Gothenburg, died 22 November 1925 at Tyringe); married 2ndly 29 May 1915 at Rome, Italy, the artist Oki Bråzda (born 30 September 1887 in Czechoslovakia). 2.2.3.2.3.1.1.3.5.1.1.2.3.2. count Arvid Posse, born 26 January 1885 at Stockholm. 2.2.3.2.3.1.1.3.5.1.1.2.3.3. count Mauritz Posse, born 15 March 1887 at Malmö. 2.2.3.2.3.1.1.3.5.1.1.2.4. *by 1* count Knut Posse, born 11 September 1862 at Charlottenlund, died 1863 at Charlottenlund, buried Snårestad cemetery. 2.2.3.2.3.1.1.3.5.1.1.3. *by 1* count Knut Lage Posse, orn 10 March 1821 at Hjälmshult, died 24 October 1900 at Ängelholm, buried Malmö old cemetery, married 12 November 1852 at Malmö Lovisa Aminoff (born 21 December 1829 at Stockholm, died 5 February 1880 at Ängelholm). 2.2.3.2.3.1.1.3.5.1.1.3.1. countess Ebba, born 4 September 1853 at Ängelholm, died 19 March 1922 at Lund, buried Lund cemetery east, married 18 Decemebr 1882 captain Sigfrid Dreilich (born 1 October 1839 at Färlöv parish, died 14 April 1920 at Lund. 2.2.3.2.3.1.1.3.5.1.1.3.2. count Arvid Posse, born 14 April 1855 at Ängelholm, died 14 March 1911 at Stockholm, buried Malmö, married 3 November 1891 at Stockholm Ottilia Vienna Thestrup (born 6 July 1872 at Stockholm, daughter of Med. Dr. Carl Thestrup and Anna Sofia Ottilia Schagerström). 2.2.3.2.3.1.1.3.5.1.1.3.3. countess Sigrid, born 18 December 1856 at Ängelholm, married 24 July 1888 at Ängelholm captain Carl Johan Lindström (born 21 July 1849 at Kronoberg, died 6 March 1917 at Stockholm). 2.2.3.2.3.1.1.3.5.1.1.3.4. count Christer Posse, born 4 December 1858 at Ängelholm, died 2 August 1886 at Boma, Congo, Africa, where he was a member of the expedition of Stanley [of Stanley and Livingstone fame]. 2.2.3.2.3.1.1.3.5.1.1.4. *by 1* count Carl Erik Posse, born 10 June 1822 at Hjälmhult, died 31 December 1822 at Hjälmhult, buried Allerum cemetery. 2.2.3.2.3.1.1.3.5.1.1.5. *by 1* count Gustaf Mauritz Posse, born 12 December 1823 at Hjälmshult, died 31 March 1888 at Vreten, buried Edhem cemetery, married 6 August 1852 at Kavlås baroness Anna Charlotta von Essen (born 28 August 1828 at Kavlås, died 20 July 1900 at Enelund). 2.2.3.2.3.1.1.3.5.1.1.5.1. count Nils Fredrik Posse, born 11 July 1853 at Kavlås, died 31 December 1919 at Stockholm, buried Edhem cemetery, married 30 December 1890 at Stockholm countess Emma Louise Charlotte Posse (born 11 November 1864 at Karlskrona). 2.2.3.2.3.1.1.3.5.1.1.5.1.1. countess Emma, born 30 October 1891 at Vreten, married 24 June 1916 at Vreten baron Carl Gustaf Hugo Carlsson Laijonhielm (born 1892). 2.2.3.2.3.1.1.3.5.1.1.5.1.2. count Gustaf Mauritz Posse, born 10 July 1894 at Vreten, died 1966, married 19 May 1925 at Haga church, Gothenburg, Florence Ingeborg Dickson (born 10 January 1903 at Gothenburg, died 1976, daughter of the bank director George Dickson and Margret Isabel Gibson). 2.2.3.2.3.1.1.3.5.1.1.5.1.2.1. countess Monika Isabel Gustafsdotter, born 10 February 1927 at Gothenburg, married 1 January 1956 Gunnar Bellinder (born 21 May 1920). 2.2.3.2.3.1.1.3.5.1.1.5.1.2.2. countess Emma Madeleine Gustafsdotter, born 3 October 1929, married 1stly ?, married 2ndly 1 March 1985 Ulf Östen Buller (born 5 May 1934). 2.2.3.2.3.1.1.3.5.1.1.5.1.3. countess Anna Sofia, born 25 July 1895, married 1 September 1923 at Stockholm the engineer Hjalmar Immanuel Nobel (born 24 May 1863 at Helsinki, Finland). 2.2.3.2.3.1.1.3.5.1.1.5.1.4. count Nils Posse, born 2 December 1902, died 1967, married Stina Bellinder (died 1982). 2.2.3.2.3.1.1.3.5.1.1.5.1.4.1. count Nils Fredrik Posse, born 9 May 1953, married 14 June 1980 Gudrun Margareta Wennberg (born 1 October 1953). 2.2.3.2.3.1.1.3.5.1.1.5.1.4.1.1. countess Amelie Margareta Louise, born 9 April 1982. 2.2.3.2.3.1.1.3.5.1.1.5.1.4.1.2. countess Caroline Maria Charlotta, born 30 August 1983. 2.2.3.2.3.1.1.3.5.1.1.5.1.4.1.3. count Nils Fredrik Jakob Posse, born 29 June 1986. 2.2.3.2.3.1.1.3.5.1.1.5.1.4.2. count Sven Gustaf Christer Posse, born 23 July 1954, married 11 August 1979 Karin Lisbeth Lyrberg (born 5 May 1953). 2.2.3.2.3.1.1.3.5.1.1.5.1.4.2.1. count Sven Gustaf Mauritz Posse, born 2 November 1981. 2.2.3.2.3.1.1.3.5.1.1.5.1.4.2.2. count Nils Arvid Posse, born 10 February 1986. 2.2.3.2.3.1.1.3.5.1.1.5.2. count Lage Posse, born 3 March 1855 at Kavlås, died 7 December 1867 at Vreten, buried Edhem cemetery. 2.2.3.2.3.1.1.3.5.1.1.5.3. count Göran Gustafsson Posse, born 10 April 1856 at Vreten, 3 October 1917 at Hultafors, buried Fågelås cemetery north, married 4 November 1885 at Haga church, Gothenburg, Marika Eufrosyne Dickson (born 6 May 1861 at Gothenburg, died 6 May 1926 at Stockholm, buried Fågelås cemetery north). 2.2.3.2.3.1.1.3.5.1.1.5.3.1. countess Ingegerd Marika, born 16 August 1886 at Almnäs, married 12 November 1910 at Almnäs captain Magnus Gustaf Teodor Mannerfelt (born 1884). 2.2.3.2.3.1.1.3.5.1.1.5.3.2. countess Helena Margareta Sorella, born 22 September 1887, married 1stly 29 June 1912 at Fågelås church north Karl Per Bernhard Hasselrot, divorced 13 July 1927 (born 1 December 1884); married 2ndly 25 August 1927 at the Swedish church, Copenhagen, Denmark, Osborne Leonard Le Moine (born 24 November 1878 at Gothenburg). 2.2.3.2.3.1.1.3.5.1.1.5.3.3. count Lage Göransson Posse, born 3 October 1888 at Almnäs, married 1 August 1916 at Jakob's church, Stockholm, Louise Vilhelmina Mabel Blûm, divorced 9 September 1926 (born 10 July 1894, daughter of the director Bernt Adolf Pontus Blûm and Hildur Charlotta Setterberg). 2.2.3.2.3.1.1.3.5.1.1.5.3.3.1. countess Blanche Louise Marika, born 31 March 1918, married 2ndly 1956 Jens Lassen (died 1974). 2.2.3.2.3.1.1.3.5.1.1.5.3.4. countess Hellevid Catharina Cecilia, born 30 October 1890, married 1stly 20 January 1914 at Almnäs Sven Magnusson Lagerberg, divorced 21 June 1928 (born 1880); married 2ndly 17 December 1929 at Hamburg, Germany, the Norwegian consul-general Einar Maseng (born 3 June 1880). 2.2.3.2.3.1.1.3.5.1.1.5.3.5. countess Märta, born 3 June 1896, married 6 March 1929 at Oskar church, Stockholm, Anders Vilhelm Reuterswärd (born 1872). 2.2.3.2.3.1.1.3.5.1.1.5.3.6. countess Görel Elsa Dagmar, born 27 April 1899, married 27 June 1919 at Fågelås church north count Axel Knut Georg Wachtmeister af Johannishus (born 1890). 2.2.3.2.3.1.1.3.5.1.1.5.3.7. countess Signhild Ebba Christina, born 5 June 1901, married 10 February 1930 at Storkyrkan, Stockholm, Georg Erik Carl Vilhelm Aminoff (born 1895). 2.2.3.2.3.1.1.3.5.1.1.5.4. countess Elsa Margareta, born 30 January 1860 at Vreten. 2.2.3.2.3.1.1.3.5.1.1.5.5. countess Ingegerd Christina, born 29 January 1864 at Vreten, married 4 January 1884 at Edhem church Carl Lennart Adam Emanuel Reuterskiöld (born 1859). 2.2.3.2.3.1.1.3.5.1.1.5.6. count Gustaf Lage Efraim Posse, born 26 July 1869 at Vreten. 2.2.3.2.3.1.1.3.5.1.1.5.7. countess Anna Magdalena Sofia, born 13 March 1872 at Vreten, died 19 January 1875, buried Edåsa cemetery. 2.2.3.2.3.1.1.3.5.1.1.6. *by 1* count Fredrik Posse, born 6 August 1825 at Hjälmhult, died 21 September 1825 at Hjälmhult, buried 24 September 1825 at Allerum cemetery. 2.2.3.2.3.1.1.3.5.1.1.7. *by 1* count Christer Lindorm Posse, born 7 August 1826 at Hjälmshult, died 25 February 1827 at Hjälmhult, buried 3 March 1827 at Allerum cemetery. 2.2.3.2.3.1.1.3.5.1.1.8. *by 1* countess Malla, born 3 August 1827 at Hjälmshult, died unmarried 5 July 1874 at Ramlösa, buried Kropp cemetery. 2.2.3.2.3.1.1.3.5.1.1.9. *by 1* count Adolf Christian Ludvig Posse, born 23 September 1828 at Hjälmshult, died 3 October 1865 at Copenhagen, buried Kropp cemetery, married 27 November 1856 at Hälsingborg baroness Anna Emerentia Götilda Rappe (born 15 September 1831 at Växjö, died 9 June 1910 at Montreux, Switzerland). 2.2.3.2.3.1.1.3.5.1.1.10. *by 1* count Fredrik Posse, born 19 June 1830 at Hjälmshult, died unmarried 4 January 1863 at Ängelholm, buried Kropp cemetery. 2.2.3.2.3.1.1.3.5.1.2. count Carl Otto Posse, born 20 May 1787 at Bergkvara, died 2 July 1867 at Björnö, buried Åby cemetery, married 2 March 1813 at Axevold, Sofia Vilhelmina Berg von Linde (born 3 September 1792 at Björnö, died 22 June 1871 at Björnö). 2.2.3.2.3.1.1.3.5.1.2.1. count Carl Erik Ludvig Valter Posse, born 22 November 1813 at Axevold, died unmarried 19 June 1868 at Björnö, buried Åby cemetery. 2.2.3.2.3.1.1.3.5.1.2.2. countess Agneta Charlotta Maria, born 11 November 1814 at Björnö, died 12 December 1866 at Björnö, buried Kalmar, married 8 September 1853 at Björnö baron Eberhard Mattias Rosenblad (bron 1800, died 1883). 2.2.3.2.3.1.1.3.5.1.2.3. countess Axelina Henrika, born 11 November 1814 at Björnö, died unmarried 27 April 1878 at Björnö, buried Åby cemetery. 2.2.3.2.3.1.1.3.5.1.2.4. count Vilhelm Posse, born 18 May 1816 at Björnö, died 27 April 1817 at Björnö, buried Åby cemetery. 2.2.3.2.3.1.1.3.5.1.2.5. count Knut Viktor Posse, born 19 January 1819 at Björnö, died unmarried 29 January 1851 at Kalmar, buried Åby cemetery. 2.2.3.2.3.1.1.3.5.1.2.6. count Fredrik Salomon Albrekt Mauritz Posse, born 15 October 1820 at Björnö, died 8 April 1895 at Karlskrona, buried Åby cemetery, amrried 10 July 1855 at Mariestad Eva Charlotta Vilhelmina Ramsay (born 8 December 1830 at Öredal, died 14 September 1916 at Stockholm, buried Åby cemetery). 2.2.3.2.3.1.1.3.5.1.2.6.1. countess Hillevi, born 15 March 1857 at Visslö, died 13 October 1889 at Mauritzholm, buried Hallingeberg parish, married 7 July 1879 at Ottenby Otto Gustaf de Maré (born 1851, died 1930). 2.2.3.2.3.1.1.3.5.1.2.6.2. countess Eleonora, born 19 April 1860 at Visslö. 2.2.3.2.3.1.1.3.5.1.2.6.3. count Carl Knut Posse, born 17 March 1862 at Visslö, died 5 June 1862, buried Åby cemetery. 2.2.3.2.3.1.1.3.5.1.2.6.4. count Carl Arvid Posse, born 21 July 1869 at Ottenby, married 27 June 1917 at Grünevald church, Berlin, Germany Ester Magda Söderberg (born 13 May 1884 at Malmö, daughter of Carl Fredrik Alvert Söderberg and Elise Christina Johnson). 2.2.3.2.3.1.1.3.5.1.2.6.5. count Arvid Fredrik Posse, born 20 January 1873 at Ottenby, died 1946, married 4 February 1914 at Gothenburg Ingrid Elisabet Tingström, divorced 9 July 1925 (born 12 June 1890, died 1951, daughter of merchant Ludvig Tingström and Alma Lydia Kjellson). 2.2.3.2.3.1.1.3.5.1.2.6.5.1. count Carl Arvid Ludvig, born 24 June 1915 at Gothenburg, married 1stly 1943 Anna Ulla-Brita Appelgren, divorced 1950; married 2ndly 2 August 1958 Rut Karin Marianne Krook (born 15 July 1929). 2.2.3.2.3.1.1.3.5.1.2.6.5.1.1. *by 1* count Carl Fredrik Arvid Posse, born 5 September 1945, married 18 June 1977 countess Ulrica Helena Claësdotter Horn af Åminne (born 13 December 1951). 2.2.3.2.3.1.1.3.5.1.2.6.5.1.1.1. count Claes Arvidsson Posse, born 7 January 1980. 2.2.3.2.3.1.1.3.5.1.2.6.5.1.1.2. count Carl Ludvig Arvidsson Posse, born 18 June 1982. 2.2.3.2.3.1.1.3.5.1.2.6.5.1.1.3. countess Anna Fredrica Arvidsdotter (born 3 January 1990). 2.2.3.2.3.1.1.3.5.1.2.7. count Lage August Posse, born 2 May 1822 at Björnö, died 10 February 1878 at Läckeby, buried Åby cemetery, married 11 September 1855 at Ugerup baroness Sigrid Margareta Gabriella Vilhelmina Barnekow (born 8 November 1834 at Ugerup, died 2 October 1901 at Bosjökloster). 2.2.3.2.3.1.1.3.5.1.2.7.1. countess Anna Sigrid Ulrika Sofia, born 17 June 1856 at Läckeby, died unmarried 10 APril 1919 at Fosiedal, buried Bosjökloster parish. 2.2.3.2.3.1.1.3.5.1.2.7.2. countess Elsa, born 17 January 1858, died unmarried 20 April 1927, buried Bosjökloster parish. 2.2.3.2.3.1.1.3.5.1.2.7.3. countess Elisabet Gabriella Augusta, born 30 October 1864, died unmarried 26 October 1923 at Åkarp, buried Bosjökloster parish. 2.2.3.2.3.1.1.3.5.1.2.7.4. count Knut Carl Henrik Posse, born 13 February 1867 at Läckeby, married 19 AUgust 1899 at Säbylund Hedvig Maria Carolina Masterton (born 21 February 1861 at Uppsala, died 15 January 1931 at Fräkentorp, butied 23 January 1931 at Flen new cemetery, daughter of professor Carl Benedikt Mesterton and Johanna Maria Weman). 2.2.3.2.3.1.1.3.5.1.2.7.4.1. countess Hedvig Sigrid Maria, born 18 February 1901 at Stensö, married 14 October 1922 at Flen Carl Oskar Albert Liljeström (born 2 September 1897). 2.2.3.2.3.1.1.3.5.1.2.7.4.2. countess Ellen Sigrid Gabriella Sofia, born 28 November 1903. 2.2.3.2.3.1.1.3.5.1.2.7.5. countess Ingjerd, born 20 January 1870, died 25 December 1925 at Aarhus, Denmark, married 30 January 1904 at Bosjökloster to the Danish colonel Gerhard Olof Andreas von Irgens-Bergh (born 17 August 1871 at Fredriksberg). 2.2.3.2.3.1.1.3.5.1.2.8. countess Hedvig Sofia Elisabet, born 14 May 1823 at Björnö, died unmarried 13 March 1855 at Björnö, buried Åbo cemetery. 2.2.3.2.3.1.1.3.5.1.2.9. countess Sofia Ottiliana, born 23 August 1824 at Björnö, died 7 September 1884 at Sundsholm, buried Västervik cemetery, married 2 March 1849 at Björnö Carl Fredrik Edvin Emil Key (born 7 October 1822 at Eds mill, died 31 December 1892 at Visby). 2.2.3.2.3.1.1.3.5.1.2.10. count Carl Henrik Posse, born 7 July 1826 at Björnö, died 24 May 1901 at Kalmar, buried at Kalmar, married 16 February 1871 at Björnö Lovisa Charlotta Nordenstierna (born 7 October 1833 at Ystad, died 20 September 1916 at Stockholm). 2.2.3.2.3.1.1.3.5.1.2.10.1. countess Sofia Louise, born 2 January 1872 at Svartingstorp, died 25 July 1925 at Stockholm, buried Solna cemetery, married 1 May 1893 at Kalmar Nils JOhan Waldén (born 22 October 1862 at Käggla, died 18 May 1930 at Stockholm, buried Solna cemetery). 2.2.3.2.3.1.1.3.5.1.2.11. countess Hildegard Ingeborg, born 3 September 1828 at Björnö, died 20 December 1914 at Stockholm, buried Stockholm cemetery north, married 12 October 1858 at Björnö count August Fredrik Skjöldebrand (born 1812, died 1889). 2.2.3.2.3.1.1.3.5.1.2.12. countess Anna Amalia, born 3 June 1833 at Björnö, died 6 April 1903 at Stockholm, buried Hanäs parish, married 20 May 1867 at Björnö to the music teacher Anton Hugo Beijer (born 29 January 1836 at Stockholm, died ?). 2.2.3.2.3.1.1.3.5.1.3. count Erik Ulrik Posse, born 27 May 1788 at Bergkvara, died 15 November 1851 at Stockholm, buried Bergsunda church, married 19 November 1830 at Osaby baroness Catharina Charlotta Hederstierna (born 25 February 1810 at Osaby, died 20 November 1843 at Norrköping). 2.2.3.2.3.1.1.3.5.1.4. count Arvid Vilhelm Posse, born 8 October 1789 at Bergkvara, died 8 August 1790 at Bergkvara. 2.2.3.2.3.1.1.3.5.1.5. count Arvid Mauritz Posse, born 5 January 1792 at Bergkvara, died 22 July 1850 at Gothenbrug, buried at Motala, married 4 June 1825 at Linköping cathedral baroness Juliana Lovisa von Platen (born 4 November 1806 at Frugården, died 26 December 1893 at Stockholm, buried Motala). 2.2.3.2.3.1.1.3.5.1.5.1. countess Charlotta Elisabet, born 18 March 1826 at Marieholm, died 25 November 1908 at Stockholm, buried 28 November 1908 at Jakob's church, Stockholm, interred Solna cemetery, married 18 November 1845 at Stockholm Adam Didrik Reuterskiöld (born 1819, died 1880). 2.2.3.2.3.1.1.3.5.1.5.2. count Arvid Baltzar, born 20 June 1828, died 11 February 1836, buried Motala. 2.2.3.2.3.1.1.3.5.1.6. count Knut Axel Posse, born 19 September 1796 at Bergkvara, died 27 July 1856 at Copenhagen, buried Bergunda cemetery, married 29 September 1824 at Osaby, Johanna Vilhelmina Hederstierna (born 30 June 1801 at Osaby, died 29 May 1878 at Bergkvara, buried Bergunda cemetery). 2.2.3.2.3.1.1.3.5.1.6.1. count Arvid Erland Posse, born 31 July 1825, died 17 May 1831, buried Bergunda cemetery. 2.2.3.2.3.1.1.3.5.1.6.2. count Carl Knut Johan Posse, born 7 November 1826 at Formetorp, died 28 January 1902 at Bergkvara, buried Bergunda cemetery, married 19 September 1854 at Växjö cathedral Catharina Aurora Charlotta Fredrika von Baumgarten (born 5 January 1835 at Växjö, died 15 September 1927 at Bergkvara, buried Bergunda cemetery). 2.2.3.2.3.1.1.3.5.1.6.2.1. count Knut Arvid Posse, born 18 September 1855 at Valstad, died 4 April 1916 at Växjö, buried Bergunda cemetery, married 4 October 1881 at Växjö baroness Sigrid Elisabet Carolina Gustafsdotter Leijonhufvud (born 7 April 1861 at Växjö, died 2 December 1924 at Bergkvara, buried Bergunda cemetery). 2.2.3.2.3.1.1.3.5.1.6.2.1.1. countess Elsa Hildegard Catharina, born 29 October 1882 at Öjaby, died 14 March 1886 at Asa, buried Bergunda cemetery. 2.2.3.2.3.1.1.3.5.1.6.2.1.2. countess Throvi Johanna Charlotta, born 22 May 1884 at Öjaby, married 1stly 20 November 1907 at Bergunda church Dr. Ernst Torsten August Sellgren (born 9 November 1871 at Torshälla parish, drowned 29 July 1915 at Steninge); married 2ndly 2 September 1916 at Bergkvara company director Hakon Paul Hjalmar Brunius, divorced (born 30 October 1887); married 3rdly 19 December 1920 st Storkyrkan, Stockholm, Nils Lago-Lengquist, divorced 18 February 1930 (born 25 May 1882 at Växjö). 2.2.3.2.3.1.1.3.5.1.6.2.1.3. count Knut Gustaf Trosven Knutsson Posse, born 29 March 1886 at Bergkvara, died 1947, married 1stly 13 February 1911 at Gustav Vasa church, Stockholm, Marthe Dubois, divorced 25 November 1924 (born 11 October 1889 at Stockholm, died 1973, daughter of Hjalmar August Otto Dubois and Elsa Teresia Karsten); married 2ndly 9 February 1925 at Vor Frelsers church, Oslo, Norway, Dagny Hanna Isdahl Tidemand (born 20 May 1897 at Oslo, died 1 May 1931 at Sturehov, daughter of merchant Joakim Otto Grip Tidemand and Hanna Fredrike Synnestvedt Börs Isdahl); married 3rdly 1938 Viveka Hyberg (born 15 January 1911). 2.2.3.2.3.1.1.3.5.1.6.2.1.3.1. *by 1* count Arvid Knutsson Posse, born 27 November 1911 at Taxinge-Näsby, married 1stly 1935 Gunhild Lovisa Nilsson, divorced 1958; married 2ndly 17 February 1966 Gertrud Margareta Elisabet Andreae (born 11 November 1916). 2.2.3.2.3.1.1.3.5.1.6.2.1.3.1.1. *by 1* count Krister Arvidsson Posse, died 1971, married 1963 Barbro Josefina Sebardt (born 5 August 1939). 2.2.3.2.3.1.1.3.5.1.6.2.1.3.1.1.1. countess Marthe Joséphine Kristersdotter, born 2 September 1963, married 10 November 1990 Erik Jonas Häckner (born 10 April 1962). 2.2.3.2.3.1.1.3.5.1.6.2.1.3.1.1.2. countess Ebba Kristersdotter, born 13 October 1967. 2.2.3.2.3.1.1.3.5.1.6.2.1.3.1.2. *by 1* count Arvid Arvidsson Posse, born 23 December 1945. 2.2.3.2.3.1.1.3.5.1.6.2.1.3.2. *by 1* countess Augusta Hägerflycht, born 23 December 1913 at Taxinge-Näsby, married 1944 Herman Friedländer (died 1988). 2.2.3.2.3.1.1.3.5.1.6.2.1.3.3. *by 1* count Fredrik Knutsson Posse, born 18 November 1915 at Taxinge-Näsby, married 22 May 1950 Sonja Inge-Britt Lindberg (born 16 September 1926). 2.2.3.2.3.1.1.3.5.1.6.2.1.3.3.1. countess Christina Fredriksdotter, born 15 October 1950. 2.2.3.2.3.1.1.3.5.1.6.2.1.3.4. *by 2* count Knut Peder Knutsson Posse, born 25 July 1926 at Taxinge-Näsby. 2.2.3.2.3.1.1.3.5.1.6.2.1.3.5. *by 2* count Göran Otto Knutsson Posse, born 11 July 1928 at Stockholm, died 1966, married 1954 Gunvor Linnéa Margareta Svarén, divorced 1966. 2.2.3.2.3.1.1.3.5.1.6.2.1.3.5.1. countess Viveka Kristina, born 31 July 1955. 2.2.3.2.3.1.1.3.5.1.6.2.1.3.5.2. count Gustaf Magnus Posse, born 29 August 1959, married 26 August 1989 Ann-Sofie Elisabet Gagnert (born 21 February 1960). 2.2.3.2.3.1.1.3.5.1.6.2.1.3.5.2.1. count Fredrik Göran Posse, born 20 August 1990. 2.2.3.2.3.1.1.3.5.1.6.2.1.3.6. *by 3* count Jöns Peder Lage Jakob Posse, born 8 April 1946, married 1stly 1966 Monica Helena Birgita Bremholt, divorced 1987; married 2ndly 3 July 1988 Eva Marie Senby (born 3 April 1962). 2.2.3.2.3.1.1.3.5.1.6.2.1.3.6.1. *by 1* count Carl Henrik Gunnar Jönsson Posse, born 4 September 1967. 2.2.3.2.3.1.1.3.5.1.6.2.1.3.6.2. *by 1* count Claes Fredrik Johan Jönsson Posse, born 14 May 1970. 2.2.3.2.3.1.1.3.5.1.6.2.1.3.6.3. *by 2* count Jacob Rolf Knut Jönsson Posse, born 22 September 1989. 2.2.3.2.3.1.1.3.5.1.6.2.1.3.6.4. *by 2* countess Lovisa Brita Viveka Jönsdotter, born 9 June 1991. 2.2.3.2.3.1.1.3.5.1.6.2.1.4. countess Märta Sigrid Carolina, born 3 May 1888 at Asa, married 29 July 1909 at Bergunda church Teodor Reinhold von Vegesack, divorced 1921 (born 11 February 1884 in Livonia). 2.2.3.2.3.1.1.3.5.1.6.2.1.5. countess Gerda Hilda Elisabet, born 4 June 1890 at Asa, married 21 June 1912 at Bergunda church captain Vilhelm Haldan Alvarez Lindencrona (born 1887). 2.2.3.2.3.1.1.3.5.1.6.2.1.6. count Rune Nils Magnus Posse, born 12 November 1891 at Asa, died 5 April 1926 at Sigtuna, buried at Sigtuna, married 15 February 1917 at Uppsala Anna Sofia Birgitta Lundström (born 19 December 1894 at Uppsala, died 6 November 1928 at Sigtuna, daughter of prof. Anders Herman Lundström and baroness Gertrud Elisabet Herdis von Essen). 2.2.3.2.3.1.1.3.5.1.6.2.1.6.1. count Nils Knut Herman Posse, born 30 November 1917 at Marklanda, married 24 April 1948 Inga Alice Nyman (born 16 March 1925). 2.2.3.2.3.1.1.3.5.1.6.2.1.6.1.1. countess Inge Birgitta, born 18 July 1950, married 29 October 1977 Robert Mathias Ålund (born 14 January 1947). 2.2.3.2.3.1.1.3.5.1.6.2.1.6.1.2. countess Elisabeth Kristina, born 15 May 1953, married 1 December 1973 Rolf Torsten Hallenstam (born 6 July 1953). 2.2.3.2.3.1.1.3.5.1.6.2.1.6.2. countess Sigrid Herdis Anne-Sofie, born 14 March 1920 at Marklanda. 2.2.3.2.3.1.1.3.5.1.6.2.1.6.3. countess Agneta, born 18 September 1921 at Mengsholm, married 1941 Nils Jakob Larsson (died 1987). 2.2.3.2.3.1.1.3.5.1.6.2.1.6.4. countess Blenda Hildegard, born 5 July 1923 at Aringsås, married 24 June 1947 Karl-Otto Hakon Kyhlberg (born 18 March 1919). 2.2.3.2.3.1.1.3.5.1.6.2.1.6.5. countess Ingrid Birgitta Hillevi, born posthumously 12 May 1926 at Sigtuna, married 4 September 1948 baron Axel Johan Casimir Rappe (born 1925). 2.2.3.2.3.1.1.3.5.1.6.2.1.7. countess Anna Aurora Maria, born 30 June 1894 at Asa, married 3 July 1919 at Bergunda church Ragnar Hugo Ferdinand Gyllensvärd (born 1891). 2.2.3.2.3.1.1.3.5.1.6.2.1.8. count Per Seved Abraham Posse, born 27 December 1895 at Växjö, died 1973, married 11 April 1922 at Växjö cathedral Margit Elsa Wikström (born 23 November 1902 at Stockholm, died 1987, daughter of consul Carl Gustaf Nikolas Wikström and Elsa Olympia Saxenberg). 2.2.3.2.3.1.1.3.5.1.6.2.1.8.1. count Per Knut-Arvid Posse, born 7 July 1923 at Bergkvara, married 1stly 1951 Helen elisabeth Pardoe Tham, divorced 1959; married 2ndly 1959 Barbro Bärland, divorced 1984. 2.2.3.2.3.1.1.3.5.1.6.2.1.8.1.1. *by 1* countess Catharina Sigrid Helen, born 19 February 1952, married 28 February 1981 Kjell Ingemar Rehnström (born 4 September 1954). 2.2.3.2.3.1.1.3.5.1.6.2.1.8.1.2. *by 1* count Ulf Peder Wilhelm Posse, born 18 July 1953, married 198 Ingrid Liselotta Frank, divorced 1989. 2.2.3.2.3.1.1.3.5.1.6.2.1.8.1.2.1. count Frank Johan Knut Posse, born 1 June 1983. 2.2.3.2.3.1.1.3.5.1.6.2.1.8.1.2.2. count Fredrik Arvid Sven Posse, born 31 July 1985. 2.2.3.2.3.1.1.3.5.1.6.2.1.8.1.3. *by 1* count Knut Henrik Posse, born 12 July 1955, married 10 August 1985 Pia Chrisina Malmgren (born 31 January 1958). 2.2.3.2.3.1.1.3.5.1.6.2.1.8.1.3.1. count Viktor Posse, born 29 May 1986. 2.2.3.2.3.1.1.3.5.1.6.2.1.8.1.3.2. countess Emma Viktoria, born 10 June 1988. 2.2.3.2.3.1.1.3.5.1.6.2.1.8.1.4. *by 2* count Harald Arvid Knutsson Posse, born 1 April 1964. 2.2.3.2.3.1.1.3.5.1.6.2.1.8.2. countess Elsa Sigrid Ulrika, born 21 October 1924 at Bergkvara, died 22 April 1925 at Bergkvara. 2.2.3.2.3.1.1.3.5.1.6.2.1.8.3. countess Sigrid Margit Catharina, born 4 May 1926 at Bergkvara, married 20 August 1949 Carl Bertil Peter Follin (born 23 August 1922). 2.2.3.2.3.1.1.3.5.1.6.2.1.8.4. count Nils Göran Lindorm Posse, born 9 July 1929, married 6 February 1954 Lilian Hélène Margareta Fils (born 2 November 1931. 2.2.3.2.3.1.1.3.5.1.6.2.1.8.4.1. countess Eva Elsa Margareta, born 11 January 1956. 2.2.3.2.3.1.1.3.5.1.6.2.1.8.4.2. count Carl Nils Göran Posse, born 20 September 1958, married 5 September 1987 Anne-Marie Christina Heilmann (born 21 June 1964). 2.2.3.2.3.1.1.3.5.1.6.2.1.8.4.2.1. countess Anne-Marie Madeleine, born 12 January 1988. 2.2.3.2.3.1.1.3.5.1.6.2.1.8.4.2.2. countess Hélène Marielle, born 21 July 1989. 2.2.3.2.3.1.1.3.5.1.6.2.1.8.4.3. countess Karin Margit Hélène, born 1 October 1961. 2.2.3.2.3.1.1.3.5.1.6.2.1.8.5. count Carl Henrik Salomon Posse, born 29 December 1930, married 8 October 1955 Eva Kerstin Birgitta Engström (born 2 February 1933). 2.2.3.2.3.1.1.3.5.1.6.2.1.8.5.1. count Per Knut Henrik Posse, born 27 July 1956, married 5 April 1986 Karin Agneta Wallius (born 2 February 1956). 2.2.3.2.3.1.1.3.5.1.6.2.1.8.5.1.1. countess Amelie Eva Kristina, born 29 September 1986. 2.2.3.2.3.1.1.3.5.1.6.2.1.8.5.1.2. count Jakob Carl Petter Posse, born 26 July 1988. 2.2.3.2.3.1.1.3.5.1.6.2.1.8.5.2. count Carl Göran Fredrik Posse, born 30 October 1957. 2.2.3.2.3.1.1.3.5.1.6.2.1.8.5.3. countess Anna Eva Maria, born 19 January 1961, married 29 October 1983 John Anders Boquist (born 19 January 1955). 2.2.3.2.3.1.1.3.5.1.6.2.1.8.5.4. count Nils Arvid Eric Posse, born 29 September 1962, married 3 February 1990 Ulrica Maria Mattesson (born 27 February 1963). 2.2.3.2.3.1.1.3.5.1.6.2.1.8.5.4.1. countess Beatrice Eialin Sophie, born 3 October 1990. 2.2.3.2.3.1.1.3.5.1.6.2.1.9. countess Hedvig Eleonora Margareta, born 21 October 1897 at Växjö, married 10 February 1921 at Bergunda church baron Gerhard Alexis Rappe (born 1894). 2.2.3.2.3.1.1.3.5.1.6.2.2. countess Johanna Aurora Catharina, born 8 February 1858 at Valstad, died 9 April 1930 at Gothenburg, buried Gothenburg cemetery east, married 19 September 1880 at Bergkvara the vicar of Kristine parish Dr. Johan Magnus Natanael Wieselgren (born 19 September 1852 at Helsingborg). 2.2.3.2.3.1.1.3.5.1.6.3. countess Charlotta Sofia, born 2 February 1828 at Formetorp, died 14 May 1884 at Kristianstad, buried Kristianstad, married 19 September 1853 at Bergkvara Gustaf Ulrik Bergenstråhle (born 1810, died 1884). 2.2.3.2.3.1.1.3.5.1.6.4. countess Agnes Eleonora, born 31 October 1831, died 15 January 1841 at Bergkvara, buried Bergkvara. 2.2.3.2.3.1.1.3.5.1.6.5. countess Johanna Axelina, born 12 November 1835 at Bergkvara, died 16 January 1836 at Bergkvara, buried at Bergkvara. 2.2.3.2.3.1.1.3.5.2. countess Hedvig Elisabet, born 2 February 1755, died 22 December 1774 at Gottenvik, buried Ravnäs, married 5 December 1773 at Gottenvik baron Carl Gustaf Adlermarck (born 1747, died 1810). 2.2.3.2.3.1.1.3.5.3. countess Fredrika Charlotta, born 8 August 1756, died unmarried 8 September 1794 at Ravnäs. 2.2.3.2.3.1.1.3.6. countess Hedvig Ulrika, born 11 February 1737, died 17 April 1810 at Stockholm, buried Aspö church, married 1 April 1760 baron Carl Otto Wrangel af Lindeberg (born 1723, died 1775). 2.2.3.2.3.1.1.4. countess Märta Beata, born 12 July 1691, died 30 March 1738, buried Söderbärke church, married 1stly 11 November 1716 at Tisslegård baron Carl Henrik Cronstierna (born 1673, died 1717); married 2ndly October 1721 baron Herman Tersmeden Cedercreutz (born 1684, died 1754). 2.2.3.2.3.1.1.5. count Göran Posse, born 6 February 1694, died 17 January 1695. 2.2.3.2.3.1.1.6. count Knut Posse, born 24 May 1697, died 26 April 1733, buried 28 April 1733 at Kungsholm church, Stockholm, married 15 December 1719 baroness Christina Sofia Fleming af Liebelitz (born 11 July 1702 at Stockholm, died 9 May 1745). 2.2.3.2.3.1.1.6.1. count Knut Posse, christened 4 November 1720, died 20 January 1787 at Östunaberg, buried 25 January 1787 at Östuna parish, interred at Sigtuna, married 29 May 1744 Anna Elisabet Gerner (born 27 July 1720, died 11 January 1798 at Skråmsta). 2.2.3.2.3.1.1.6.1.1. countess Christina Sofia, born 5 September 1745, died unmarried 30 September 1818 at Venngarn, buried St. Olof's parish. 2.2.3.2.3.1.1.6.1.2. count Knut Albrekt Posse, born 4 October 1746, died 20 December 1797 at Stockholm, married 2 November 1785 at Stockholm Anna Christina De Lille (born 1767, died 17 March 1825 at Ala, daughter of lieutenant-captain Stefan Ludvig De Lille and Christina Engel Carlberg). 2.2.3.2.3.1.1.6.1.2.1. countess Anna Christina, born 4 December 1788, died 13 April 1862 at Sigtuna, married 5 May 1807 at Stockholm Carl Tidström (born 20 November 1762 at Kristianstad, died 20 December 1810). 2.2.3.2.3.1.1.6.1.2.2. countess Hedvig Charlotta, born 22 October 1792, died 28 October 1792. 2.2.3.2.3.1.1.6.1.2.3. countess Maria Albertina, born 16 March 1794 at Ala, died unmarried 18 April 1857 at Haga parish, buried 28 April 1857 at Vassunda cemetery. 2.2.3.2.3.1.1.6.1.2.4. countess charlotta Augusta, born 9 September 1798 at Stockholm, died 1 February 1870 at Skråmsta, buried at Skråmsta. 2.2.3.2.3.1.1.6.1.3. count Carl Fredrik Posse, born 2 June 1748 at Karlslund, died 4 January 1787 at Östundaberg, buried St. Olof's parish, married 26 August 1782 at Sofielund Charlotta Sofia Goës (born 6 June 1756 at Strömsholm, died 26 July 1821 at Venngarn). 2.2.3.2.3.1.1.6.1.4. countess Anna Elisabet, born 1 November 1750, died unmarried 26 February 1828 at Venngarn, buried at Venngarn. 2.2.3.2.3.1.1.6.1.5. countess Hedvig Ulrika, born 23 November 1752, died November 1753. 2.2.3.2.3.1.1.6.1.6. countess Hedvig Charlotta, born 30 March 1755, died 14 September 1767 at Åsbärby, buried 21 September 1767. 2.2.3.2.3.1.1.6.1.7. countess Vendla Beata, born 30 March 1755, died 31 March 1755. 2.2.3.2.3.1.1.6.2. countess Vendela, born 23 April 1723, died 6 May 1787 at Säbyholm, buried 13 May 1787 at Lossa church, married 1752 baron Mauritz Posse af Säby (born 1722, died 1793). 2.2.3.2.3.1.1.6.3. countess Ulrika Christina, born 1727, died 3 September 1794 at Söderköping, married 13 March 1746 at Degerhov baron Bleckert Casimir Sparre (born 1721, died 1792). 2.2.3.2.3.1.1.6.4. countess Beata Sofia, born 27 March 1729, died 27 August 1766 at Lilla Örsätter, married 18 October 1752 at Degerhov Nils Rosenstierna (born 1732, died 1811). 2.2.3.2.3.1.1.6.5. count Arvid Posse, christened 19 October 1733, died 1734, buried 14 May 1734 at Kungsholm church, Stockholm. 2.2.3.2.3.1.1.6.6. count Axel Magnus Posse, died 14 May 1758 at Pomerania, married 9 June 1757 at Skällviks parish, Catharina Charlotta von Schwerin (lived in Stettin 1781, daughter of Curt Christoffer von Schwerin zu Aurose and Anna Magdalena von Ploetz). 2.2.3.2.3.1.1.6.7. two sons, died young. 2.2.3.2.3.1.1.7. countess Ulrika Fredrika, born 14 September 1699, died unmarried 1717. 2.2.3.2.3.1.2. *by 1* Johan Posse, born 1647, died 7 October 1673, buried Forshem church. 2.2.3.2.3.1.3. *by 1* Anna, died 1707, married Henrik von Vicken (born 1624, died 1690. 2.2.3.2.3.1.4. *by 1* Märta, died after 1682, married Erik Lake (died 1717). 2.2.3.2.3.1.5. *by 1* Helena Catharina, died October 1719 at Rudet, buried Forshem church, married 1stly 1681 Leonard Lake (born 1639, died 1689); married 2ndly 9 January 1692 at Karstorp Henrik Dreffenfelt (died 1704). 2.2.3.2.3.1.6. *by 2* Nils Posse, born 1669, died unmarried 1706. 2.2.3.2.3.1.7. *by 2* Margareta Helena, married Johan Ekenstierna (born 1671, died 1742. 2.2.3.2.3.1.8-10. *by 2* three more daughters, all died young. 2.2.3.2.3.2. Anna Maria, born about 1621, married about 1637 Johan Botvidsson Gyllensting (died 1689). 2.2.3.2.3.3. Harald Posse, died 31 October 1674 at Forshaga, married 13 October 1651 Maria Ribbing (born 1618). 2.2.3.2.3.3.1. Nils Posse, born 7 August 1653, died 7 August 1683 at Ribbingsfors, buried Amnehärads church, married 1676 Helena Lillie af Aspenäs (born March 1653, died 1727 at Ribbingsfors, buried 11 March 1727 at Amnehärad church). 2.2.3.2.3.3.1.1. Harald Posse, born 1677, killed unmarried 3 February 1706 at Fraustadt. 2.2.3.2.3.3.1.2. Johan Posse, born 1678, died 16 July 1728 at Ribbingsfors, buried 22 December 1728 at Amnehärad church, married 8 February 1711 at Sabbazar Maria Elisabet Spandkow (murdered at Klinov 20 November 1721 along with their children); married 2ndly Maria Regina Wennergren (born 1709 at Skara, died 1787, daughter of the vicar of Amnehärad parish Jakob Wennergren and Anna Gustafsdotter Edman). 2.2.3.2.3.3.1.3. *by 2* Nils Posse, born 10 April 1727, died September 1731, buried 10 October 1731 at Amnehärad church. 2.2.3.2.3.3.1.3. Nils Posse, born 1680, killed unmarried 11 February 1709 at the battle of Horodna in the Ukraine. 2.2.3.2.3.3.1.4. Christina Dorotea, married Carl Fredrik von Köhler (born 1678, died 5 March 1713 at Tönningen). 2.2.3.2.3.3.1.5. Gustaf Axel Posse, christened 23 August 1683 at Amnehärad parish, died unmarried 3 June 1712 at Varniza village, near Bender. 2.2.3.2.3.3.2. Anna Christina, married Anders Stake. 2.2.3.2.3.3.3. Ingeborg, died 29 December 1714 at Forshaga, buried 20 February 1715 at Grava church, married 25 May 1681 at Esperöd Georg Belfrage (born 1651, died 1700). 2.2.3.2.3.3.4. Maria Eleonora, died 1718 at Bolstad, buried 14 May 1718, married 8 June 1694 at Bolmsö parish Gustaf Adolf Gyllensvärd (born 1652, died 1732). 2.2.3.2.3.4. Sven Posse, died young. 2.2.3.2.3.5. Märta, married Olof Pilefelt. 2.2.3.2.3.6. Carin, died unmarried after 22 June 1643. 2.2.3.3. Märta, died 11 June 1627, buried Tunhem church, married 1600 Torsten Lennartsson (Forstenaätten; born 1561, died 1631). 2.2.3.4. Mauritz Posse, drowned young. 2.2.3.7. Elin, born 1559, died 1609, married 1588 at Gammalstorp Erik Larsson Hård af Segerstad (born 1560, died 1645). 2.2.3.9. ? Christina, died 1673(! ), buried Tuns church. 2.2.4. *by 2* Lage Posse, died before 1608, married 1stly Ingeborg Krumme (died 1560:s); married 2ndly 19 September 1569 at Aspenäs Anna Arvidsdotter Trolle (died before 29 August 1608); married 3rdly baroness Anna Gabrielsdotter Oxenstierna. 2.2.4.1. *by 1* Anna, died 1600, married 20 February 1594 at Uppsala castle Per Jönsson Lilliesparre af Fylleskog (died 1598). 2.2.4.2. *by 1* Ingeborg, died 14 September 1651, buried 8 February 1652 at Österplana, married 1588 Erik Olofsson Stake (died 1598). 2.2.4.3. *by 2* Hillevi, died 12 March 1632, buried Rasbo church, married Claes Hansson Kyle (died 1610). 2.2.4.4. *by 2* Arvid Posse, died 1630, married 29 January 1598 at Fållnäs Brita Gustafsdotter Bååt. 2.2.4.4.1. Elsa, born 1599, died 10 November 1633, buried March 1634 at Ängsö church, married 21 February 1626 at Ängsö baron Peder Eriksson Sparre (born 1592, died 1647). 2.2.4.4.2. Görvel, born 1600, died 14 February 1671 at Stockholm castle, buried Riddarholm church, married 1stly 1627 Carl Eriksson Sparre (born 1595, died 1632); married 2ndly 13 December 1635 Stockholm baron Johan De la Gardie (born 1582, died 1640); married 3rdly 1640:s baron Vilhelm Berntsson Taube af Karlö (died 1663). 2.2.4.4.3. Gustaf Posse, born 1601, died before 20 July 1624 at Helmstedt. 2.2.4.4.4. Christina, born 2 March 1602 at Ängsö, died 30 July 1666 at Strömsta, buried 15 August 1667 at Jacob's church, Stocholm, married 1stly 21 February 1626 at Ängsö colonel Fritz Petrovitj Rosladin (died 1628); married 2ndly 2 October 1631 at Strömsta Ivar Nilsson Natt och Dag (born 1596, died 1651). 2.2.4.4.5. Anna, buried Storkyrkan, Stockholm, married 6 October 1623 at Ängsö Lars Bengtsson Skytte af Sätra (died 1634). 2.2.4.4.6. Lage Posse, died before 20 July 1624 at Helmstedt. 2.2.4.4.7. Catharina, buried 19 June 1673 at Riddarholm church, married 27 April 1645 at Aspenäs baron Johan Gyllenstierna af Lundholm (born 1597, died 1658). 2.2.4.4.8. Hillevi, died from the plague 1629 at Preussia, married 1620:s colonel Hans Hansson Wrangel (died 7 August 1629 from battlewounds). 2.2.4.5. *by 2* Margareta, died after 3 April 1633, buried Vittinge church, married 9 January 1603 Erland Björnsson Bååt (died 1628). 2.2.4.6. *by 2* Märta, died after 1643, married 9 January 1603 Olof Bosson (Oxehufvud). 2.2.5. *by 2* Brita, died 19 November 1579 at Hellekis, buried Medelplana church, married before 4 February 1554 Åke Haraldsson (Soop). 2.2.6. *by 2* Märta, died after 1554, married Jöns Tordsson Bonde (died 1566). 2.2.7. *by 2* Anna, died 1569, five weeks after her marriage, married 1569 Erik Andersson Ekeblad (died 1585). 2.2.8. *by 2* Margareta, born 1548, died 20 March 1575 at Häradsäter, buried Skönberga church, married before 1562 Johan Axelson (Bielke; died 1576). 2.3. Gertrud, married Göran Hansson Stiernsköld (died 1517).